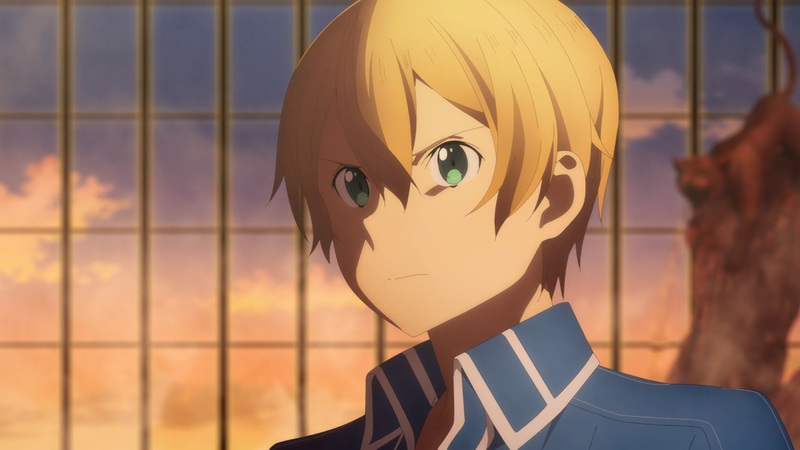 Eugeo may stand before a legend, but there is no room for hesitation now. 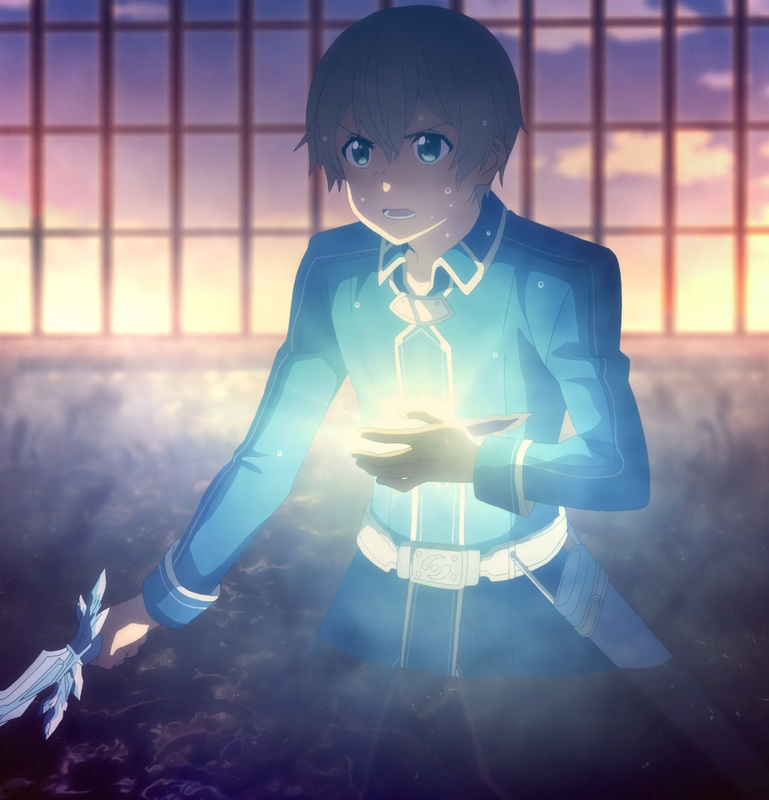 Synthesis One stands at the very top among Integrity Knights. 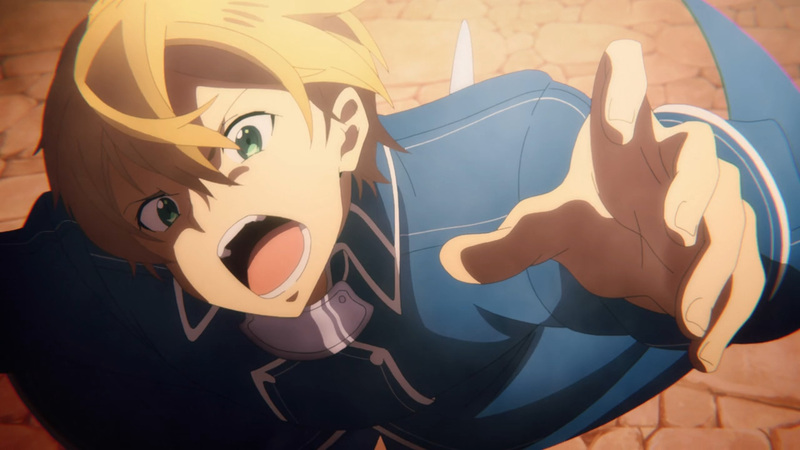 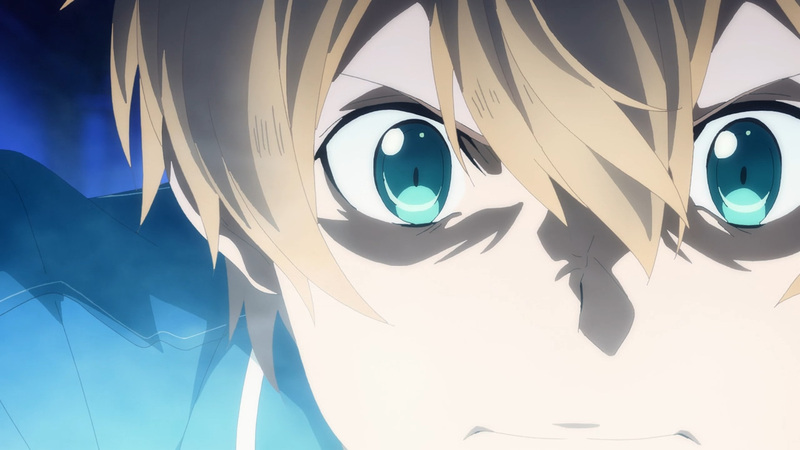 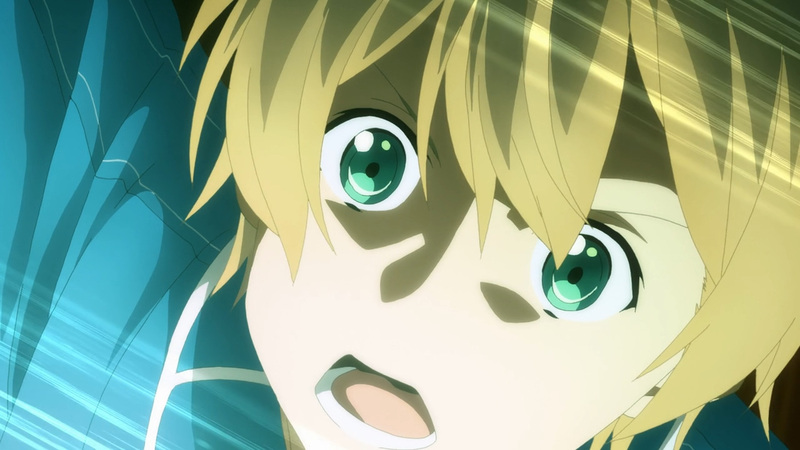 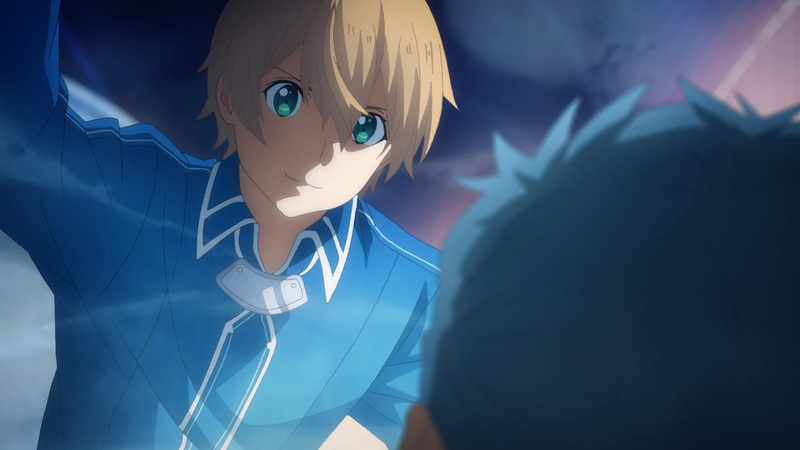 Still, going up against the Time Piercing Sword puts Eugeo at a disadvantage. 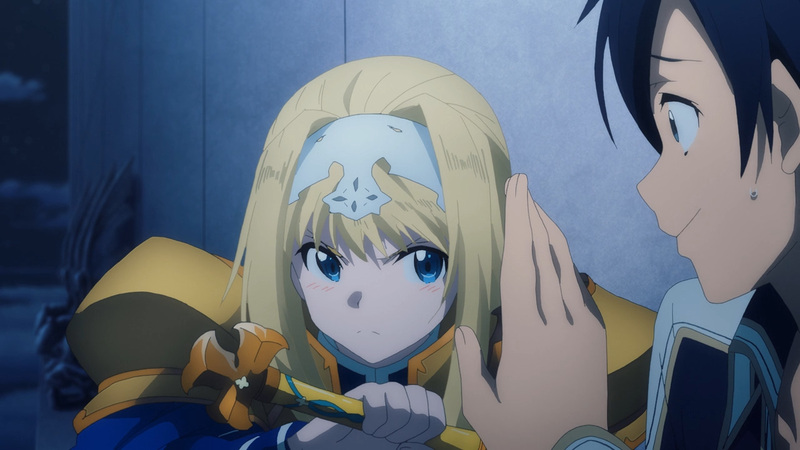 Basic tactics won’t work here. 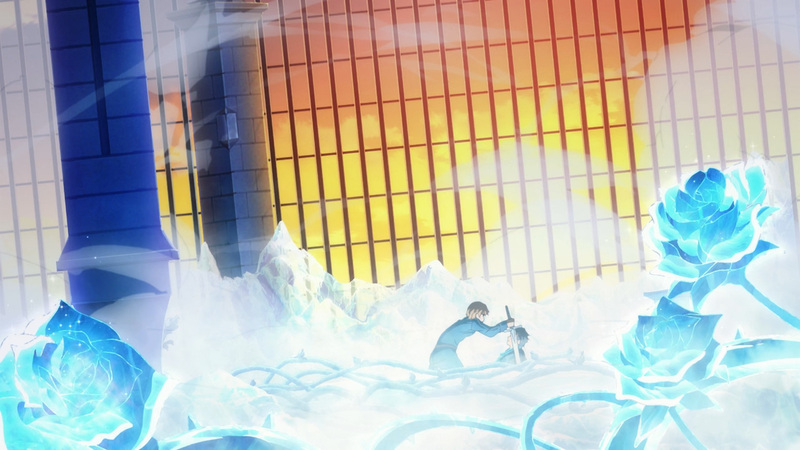 He’ll have to recall upon all the knowledge invested into him by his dare comrade. 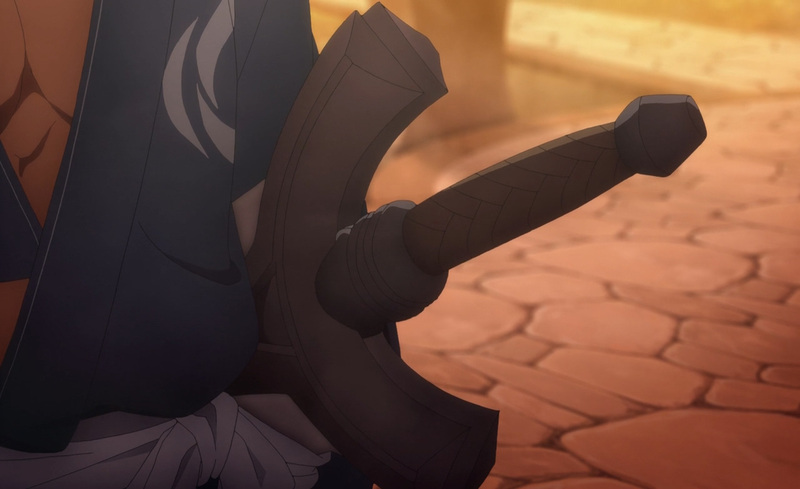 Upon the battlefield anything can be used as a weapon. 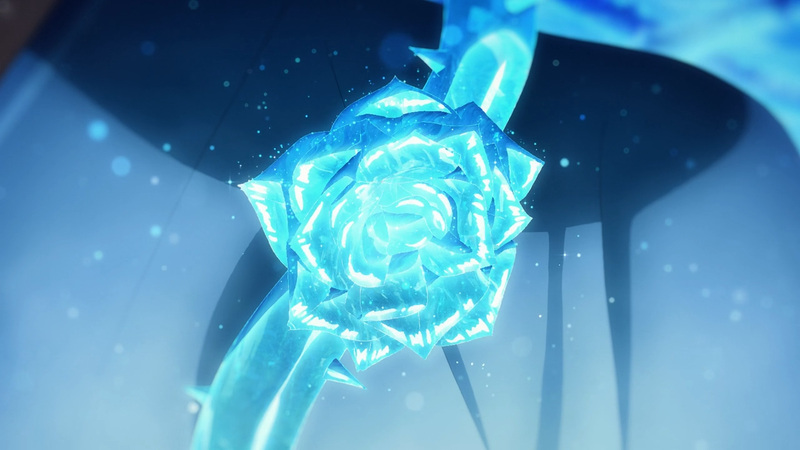 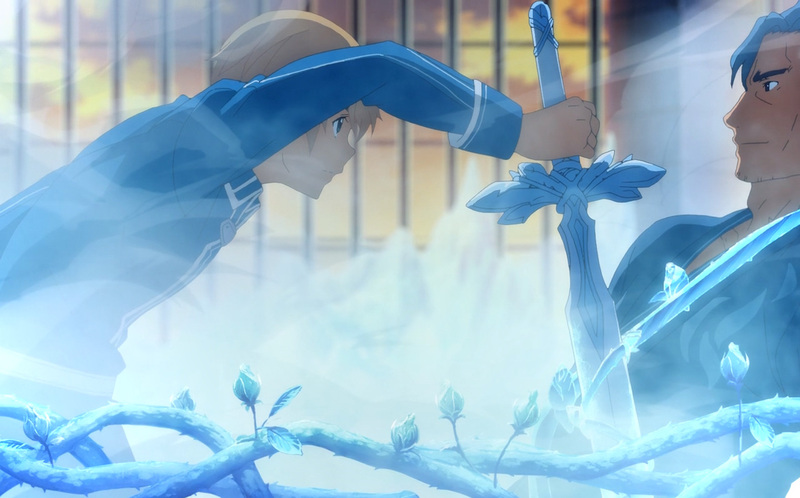 Luckily for Eugeo, he’s in the perfect place to get the most out of the Blue Rose Sword. 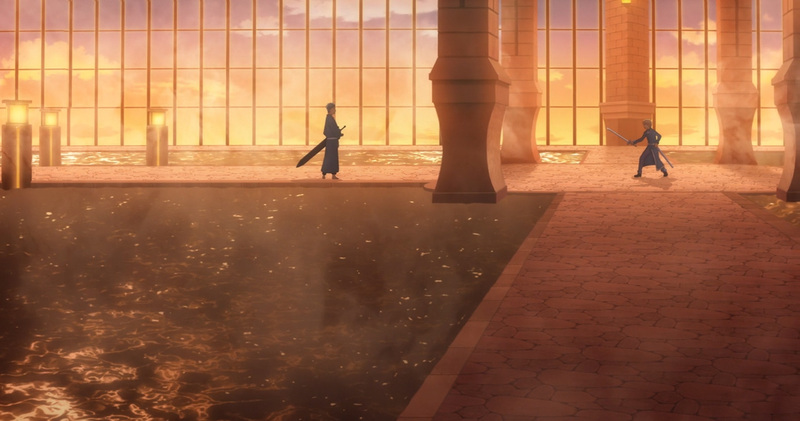 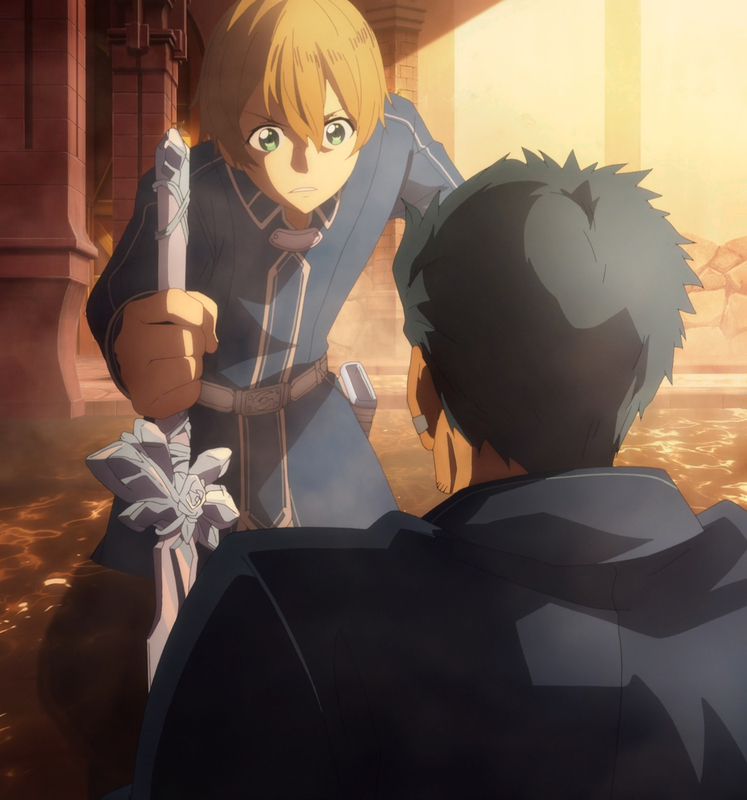 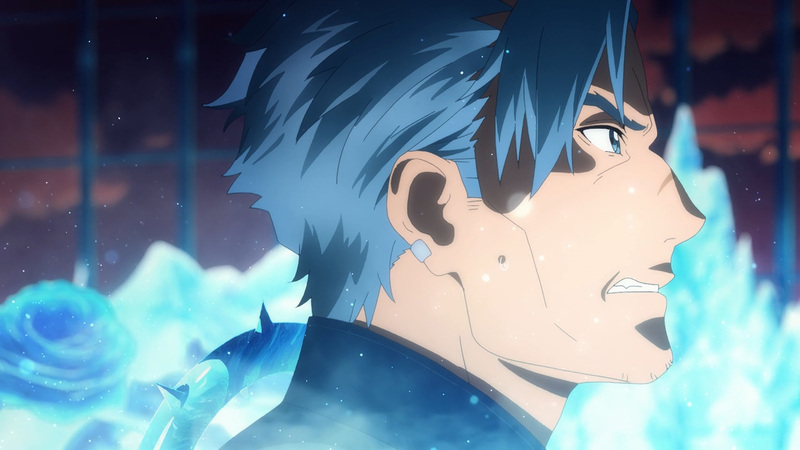 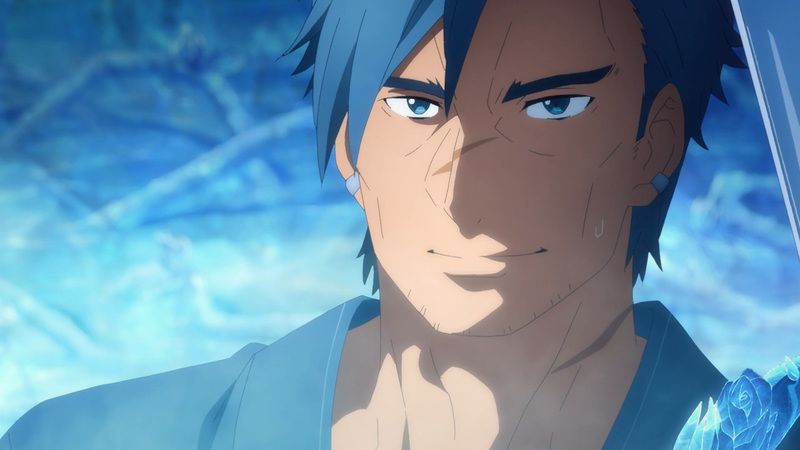 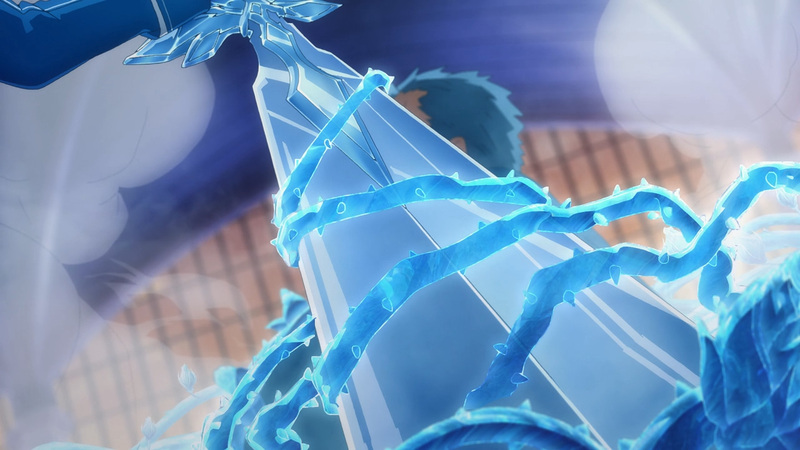 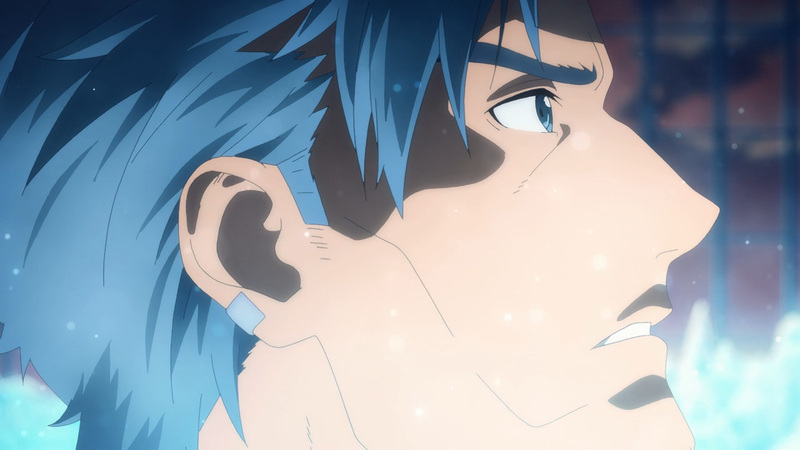 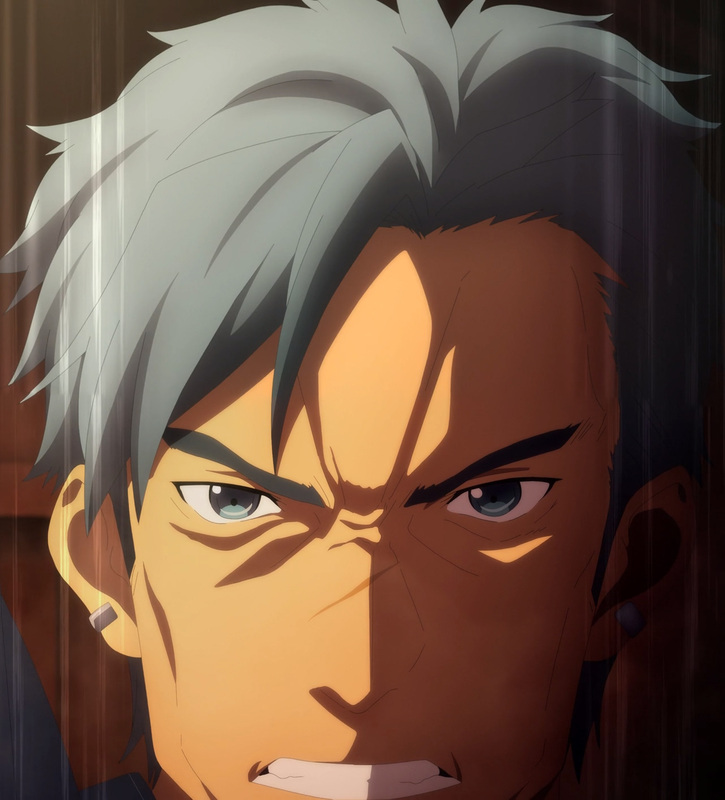 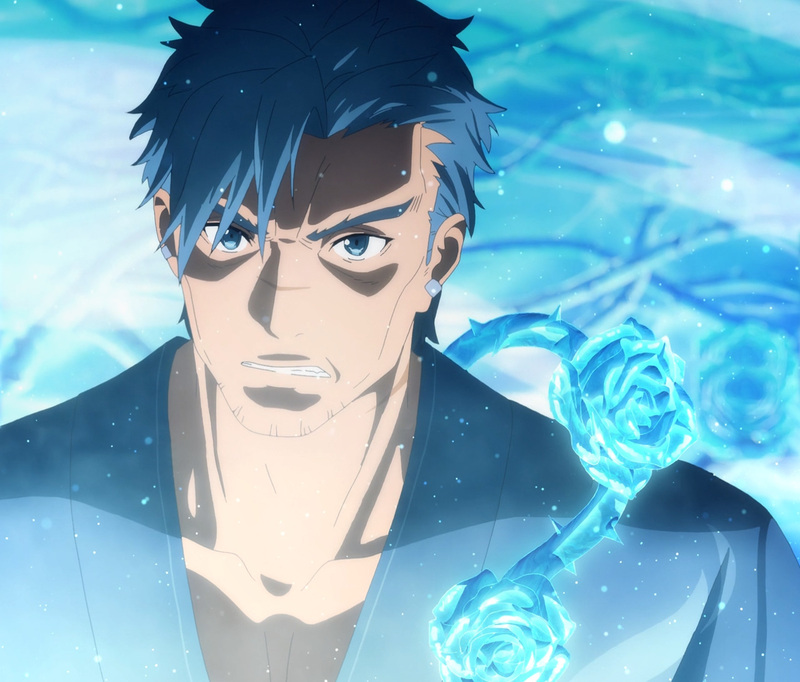 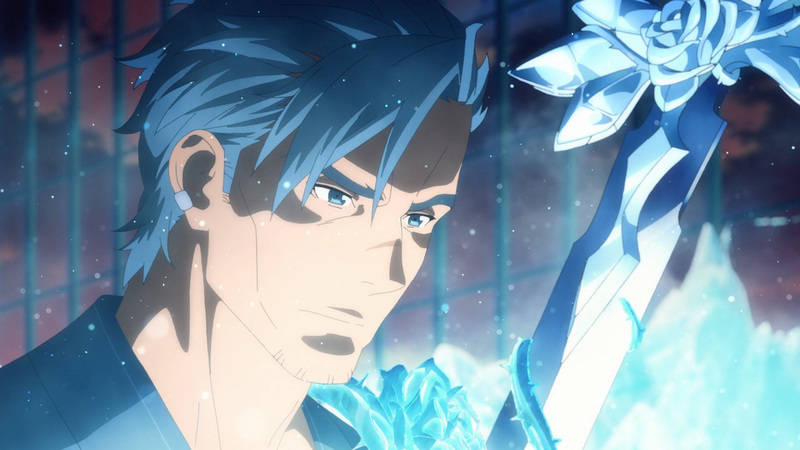 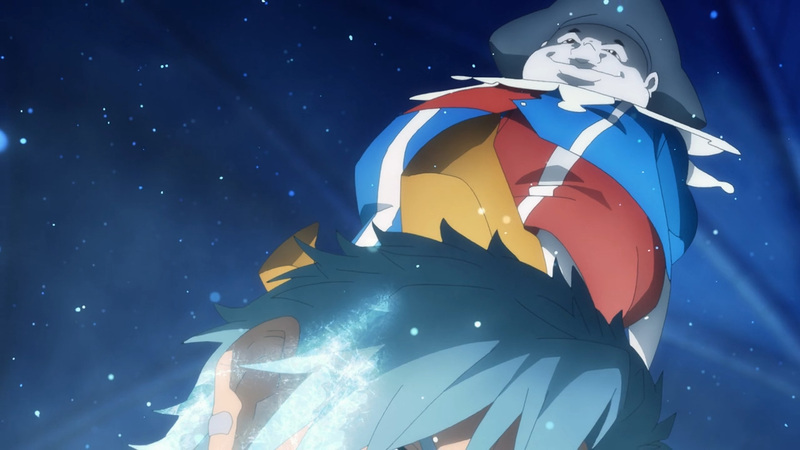 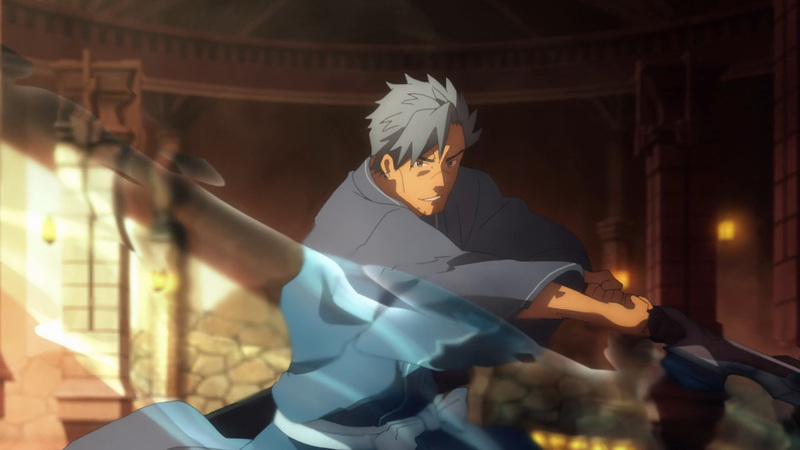 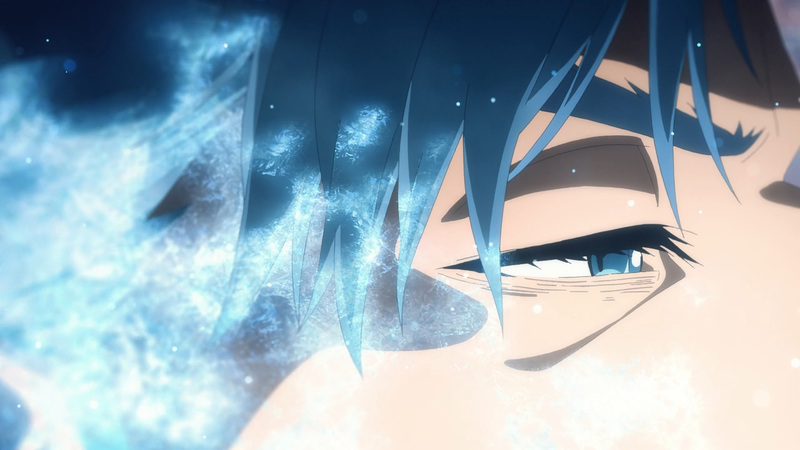 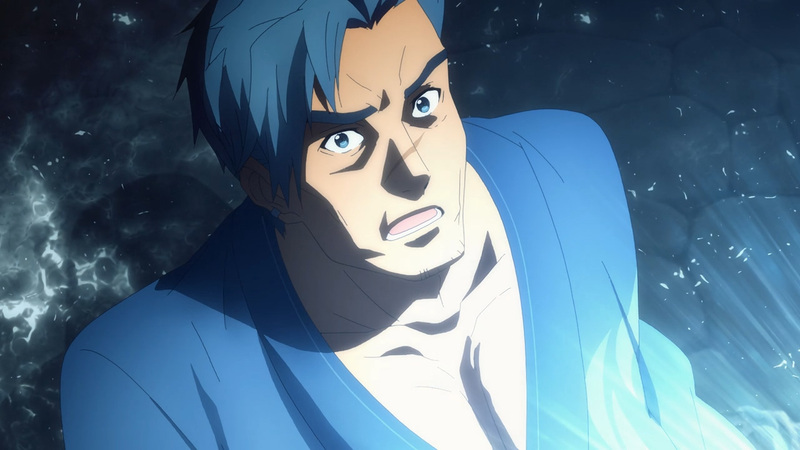 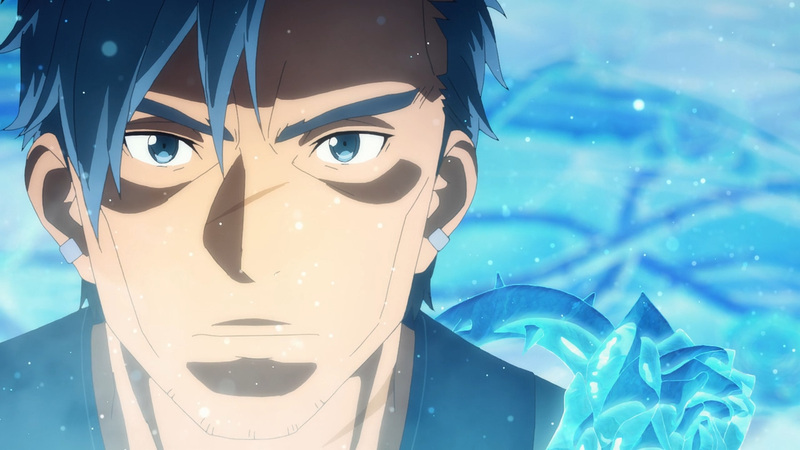 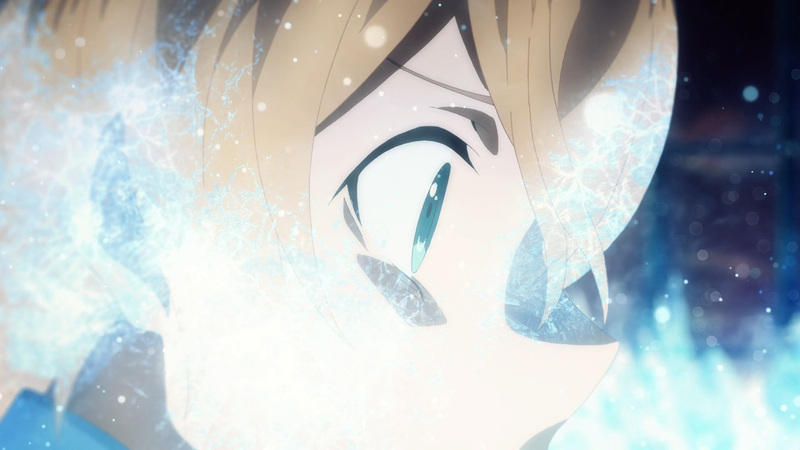 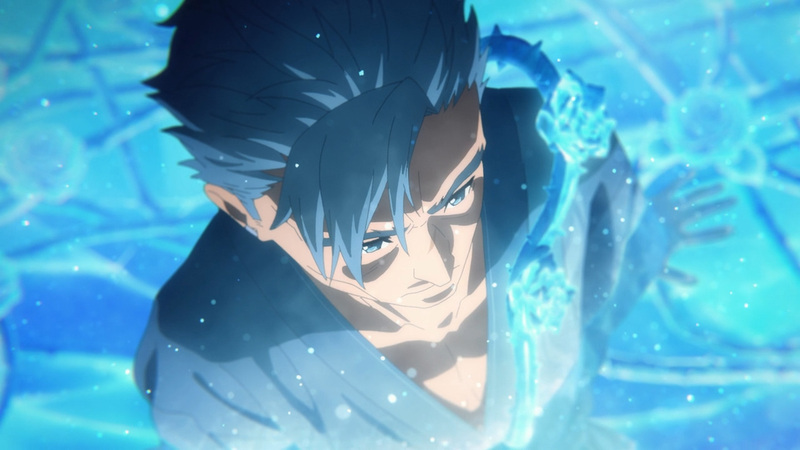 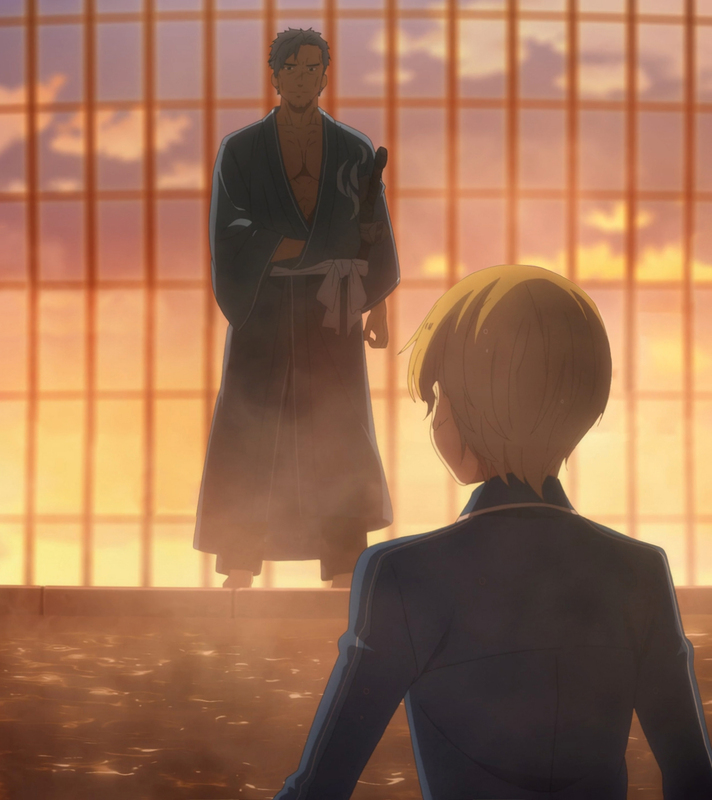 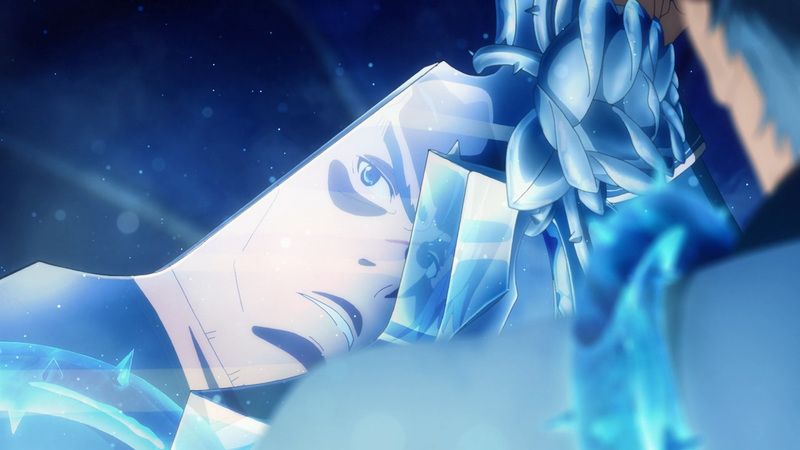 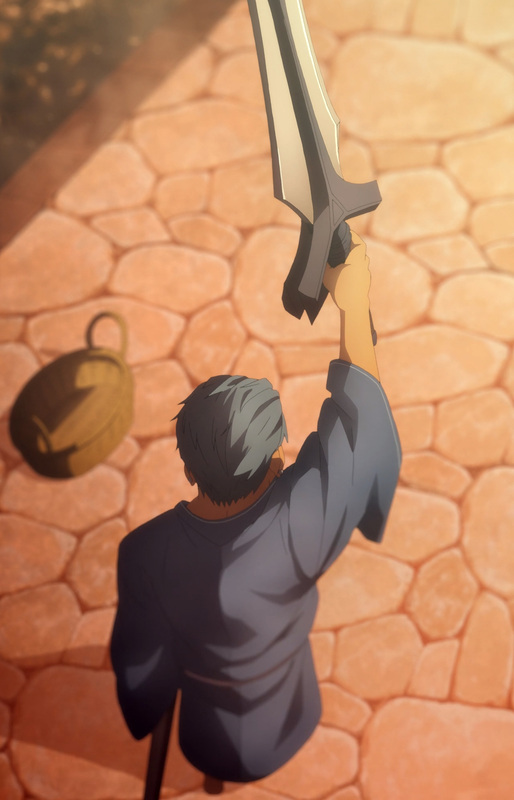 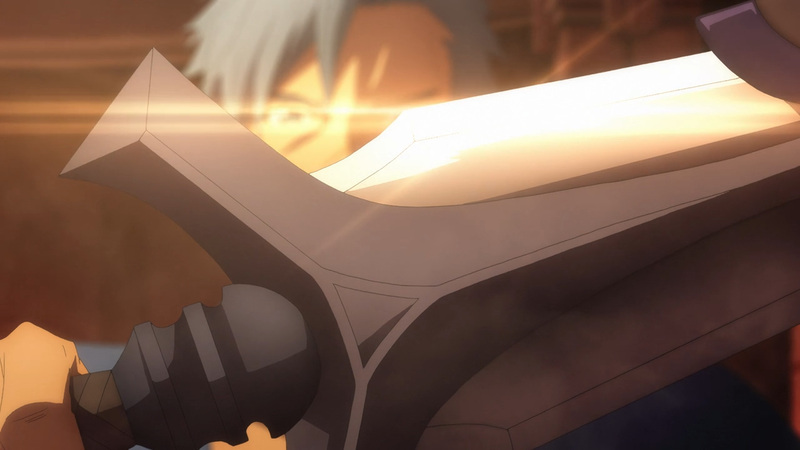 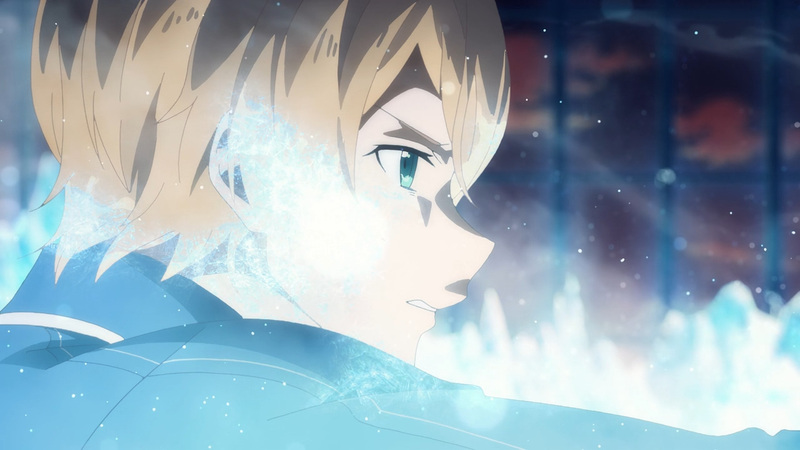 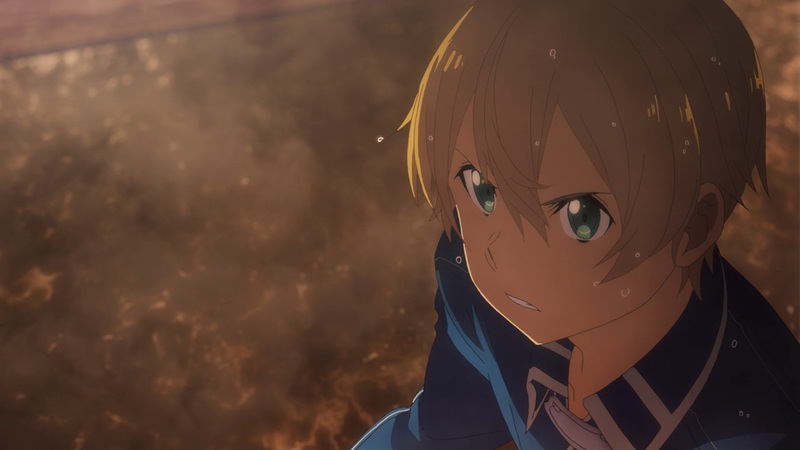 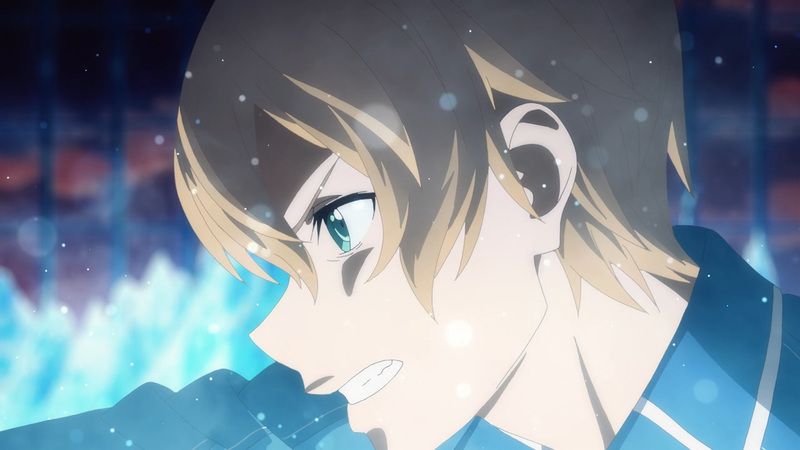 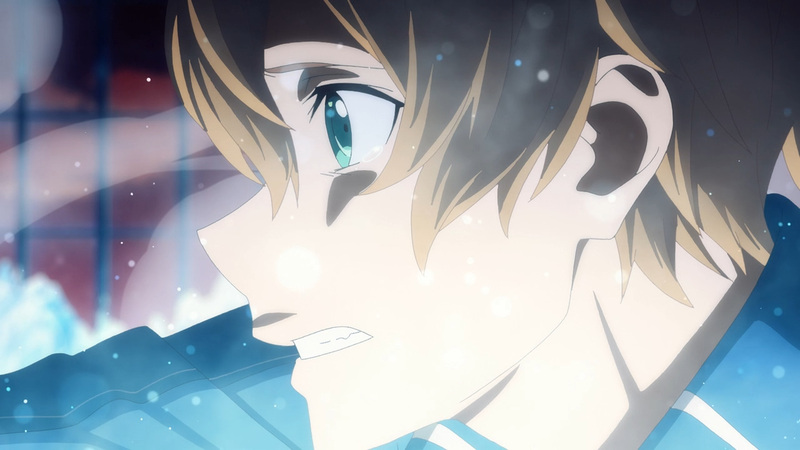 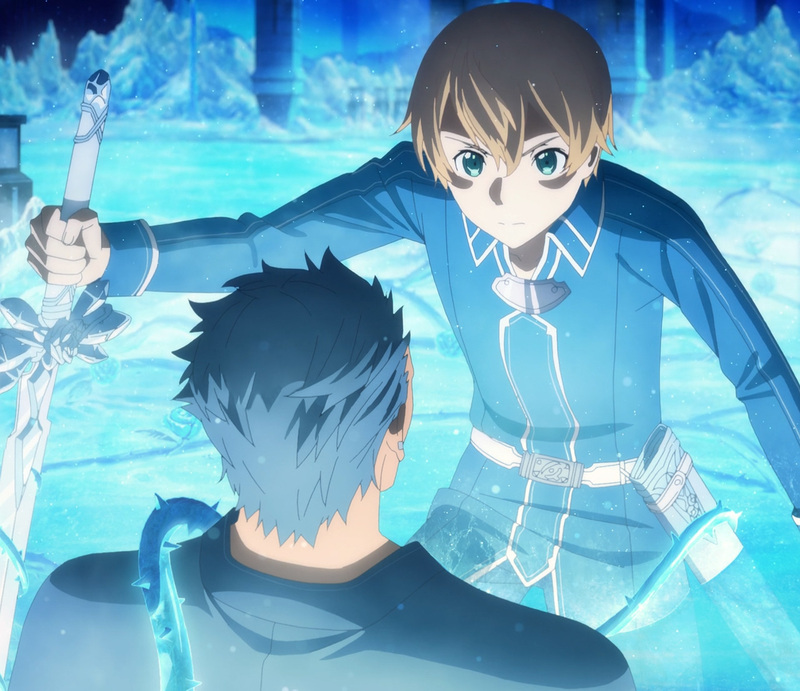 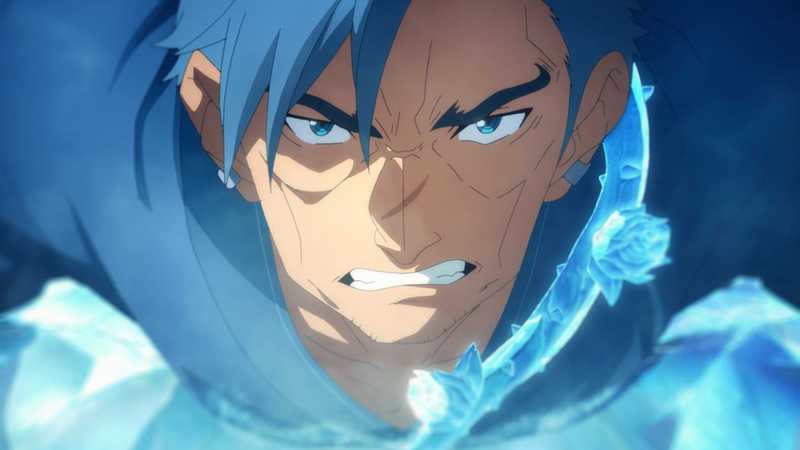 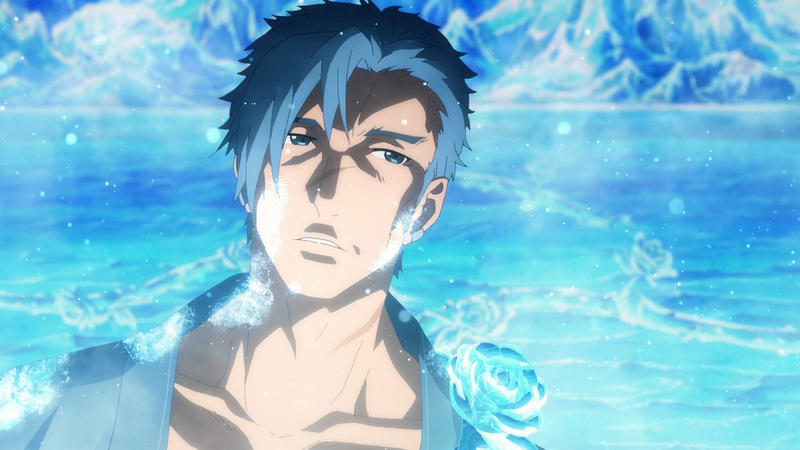 After forcing Bercouli into the bath, Eugeo used the first stage of this sword’s power. 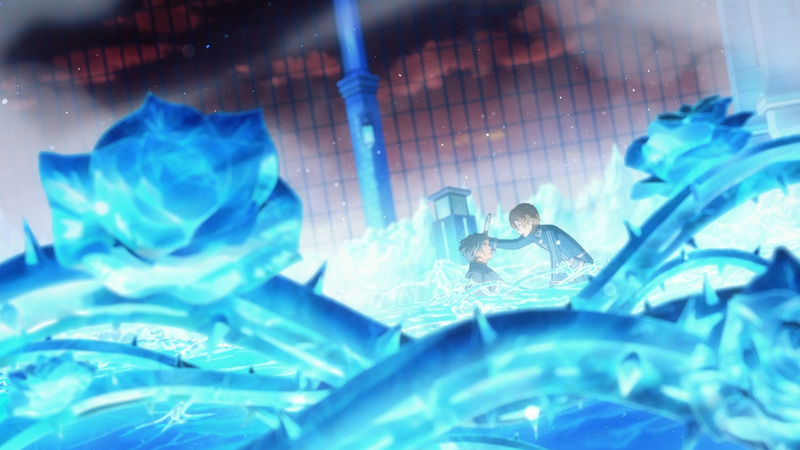 Yet, entrapping them both in ice will not end this conflict. 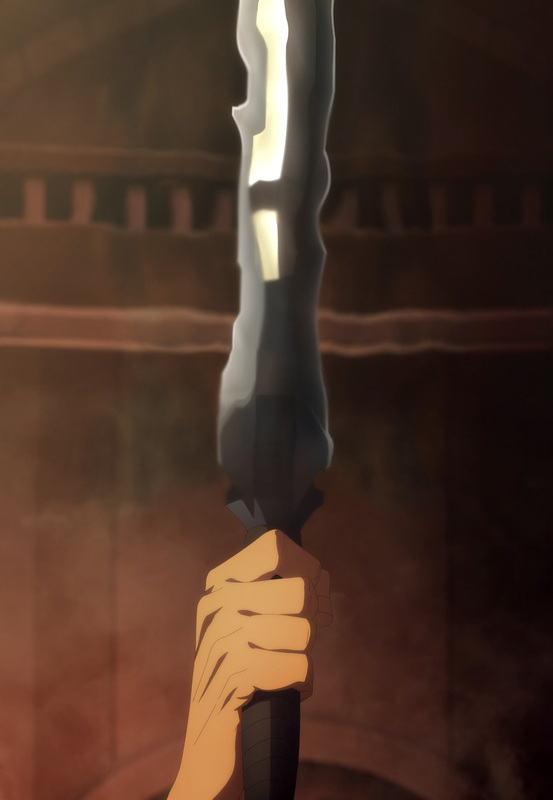 He’ll have to gamble with a power he isn’t quite ready to use. 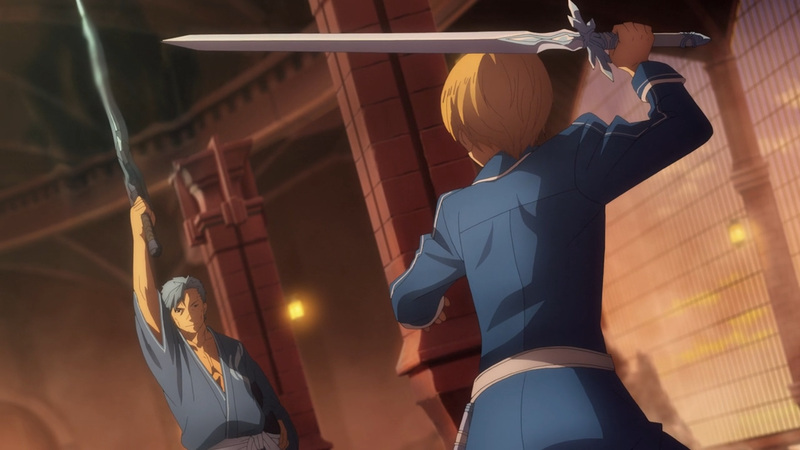 Using the 2nd stage of his sword’s power will be a risk, though it was one he’s willing to take. 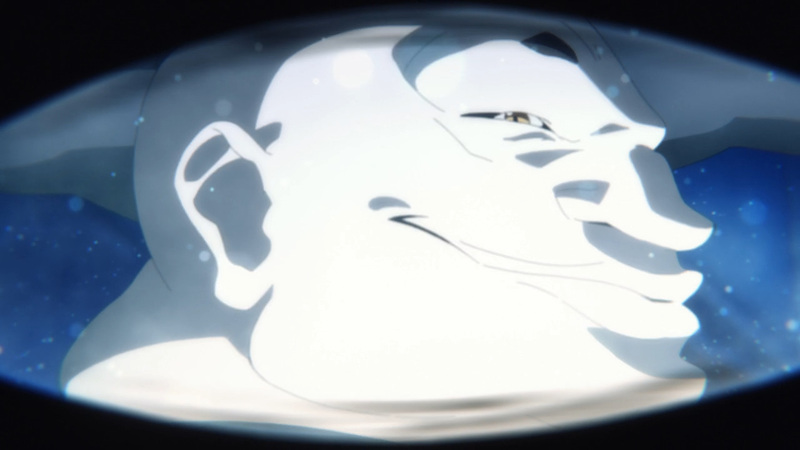 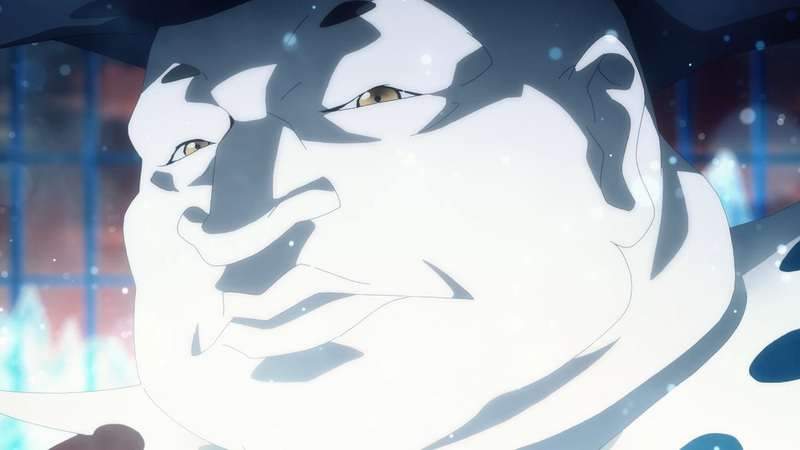 However, before seeing which life would be drained away first, an expected third party has appeared. 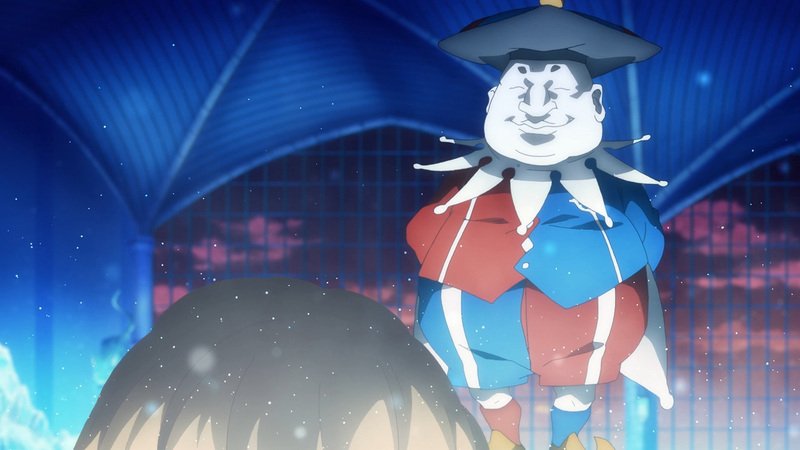 Chudelkin, the man working directly under Quinella, has come to punish and collect. 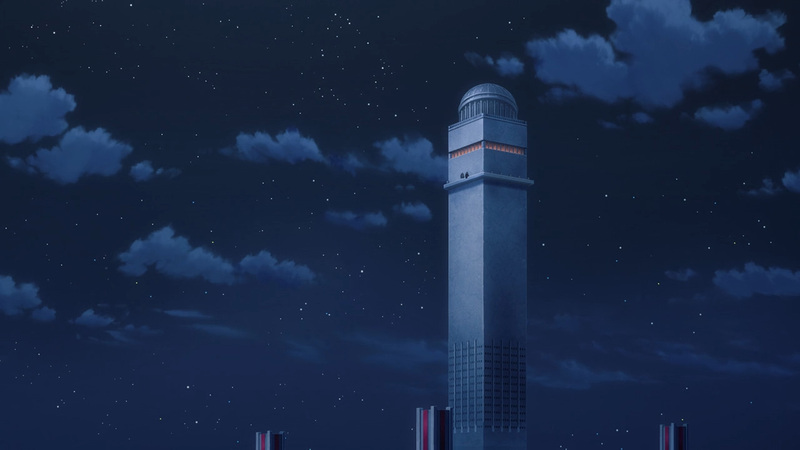 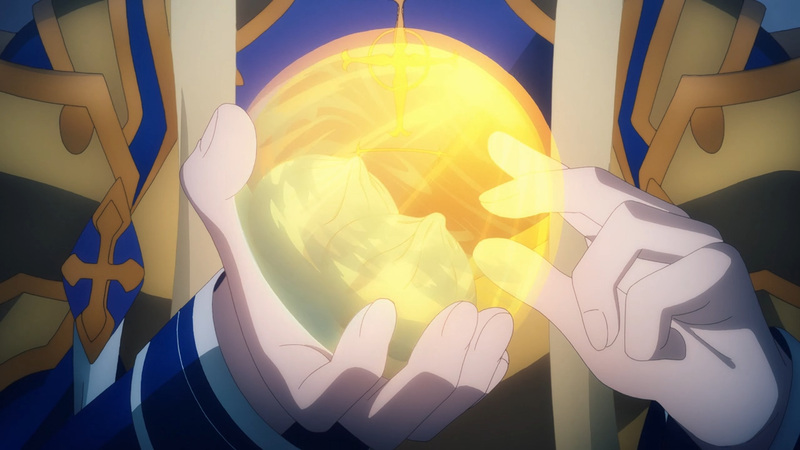 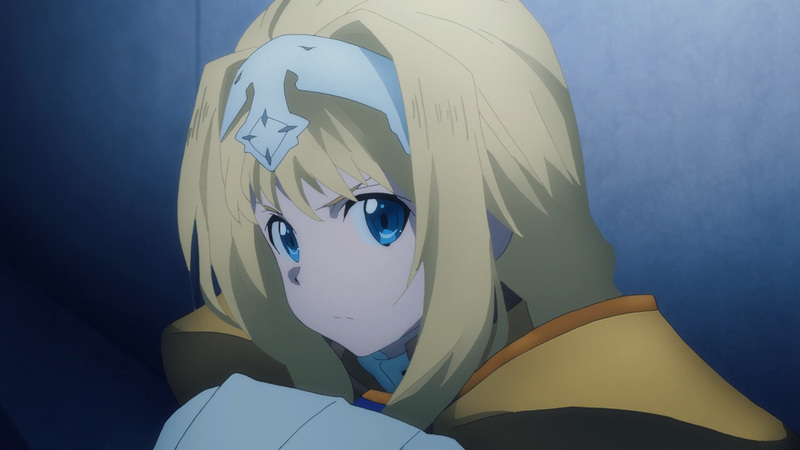 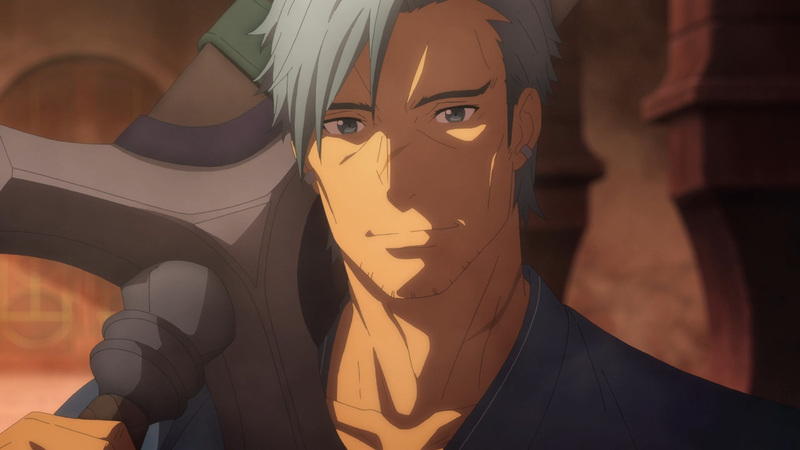 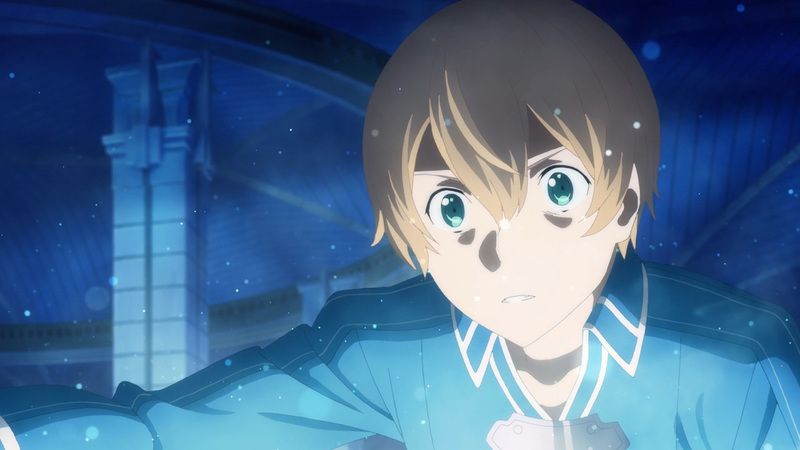 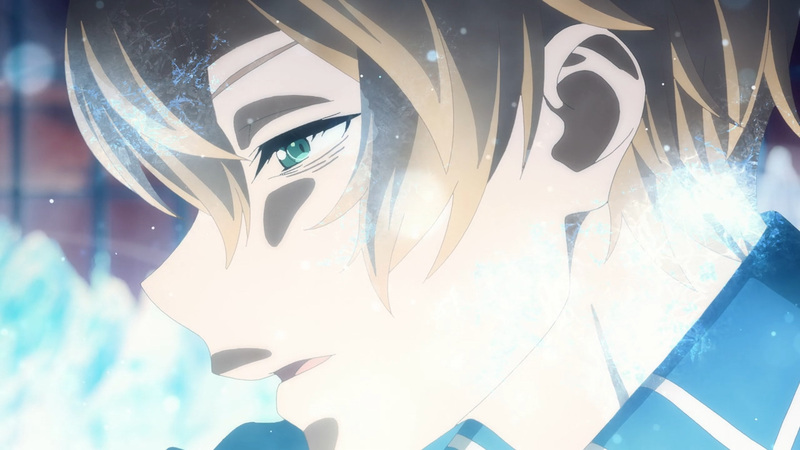 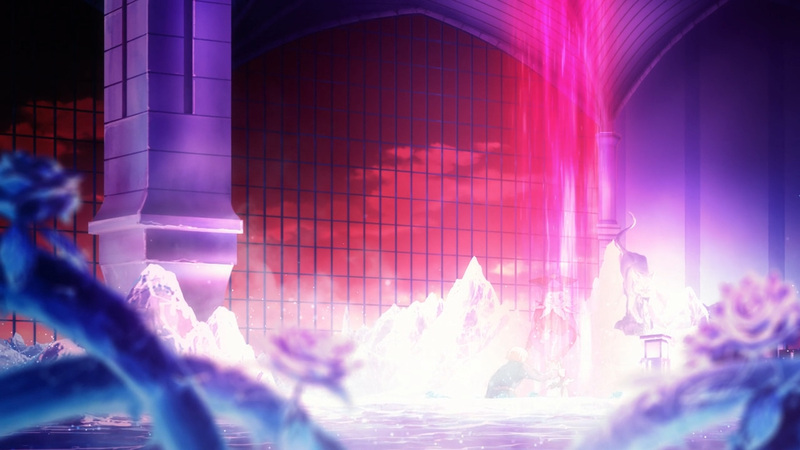 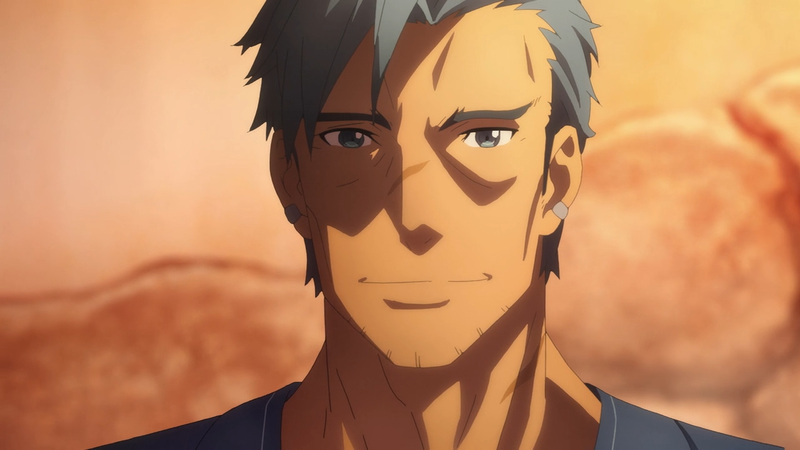 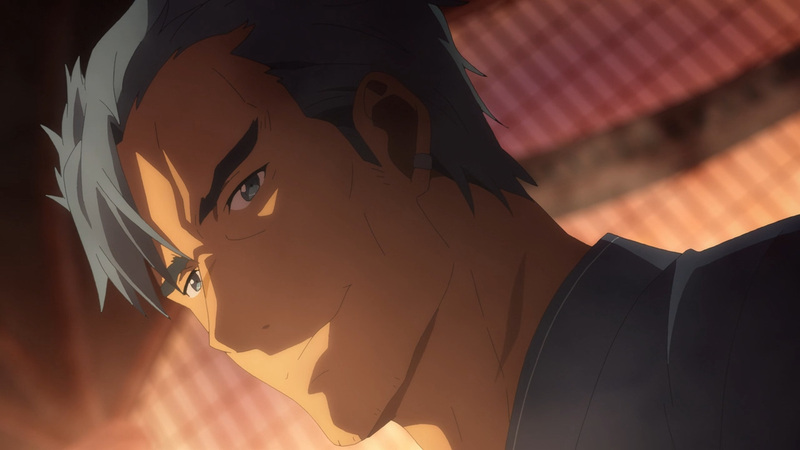 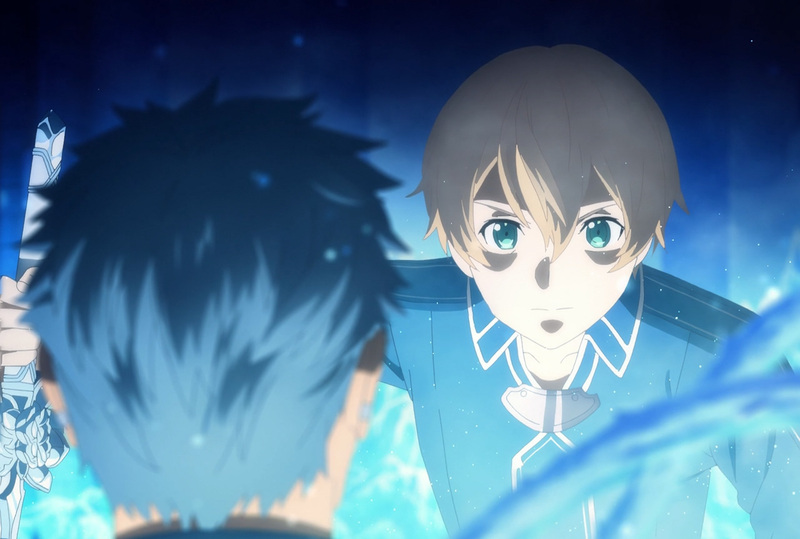 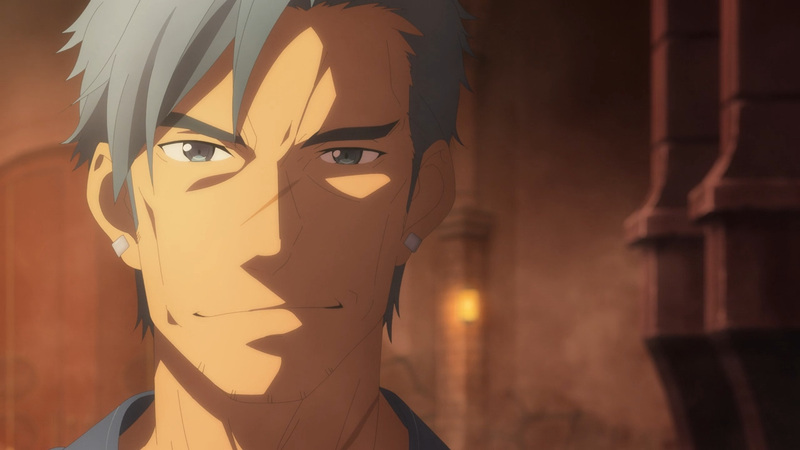 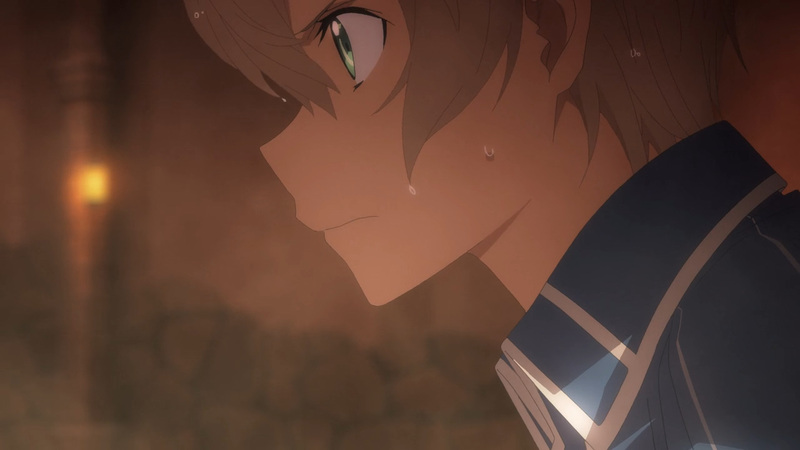 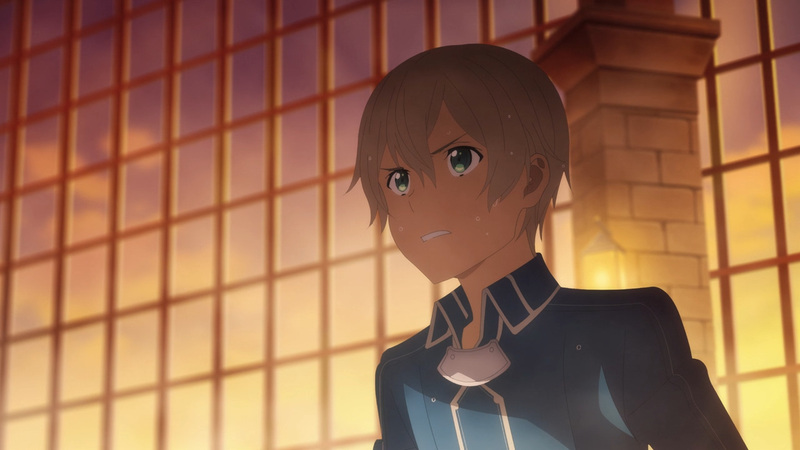 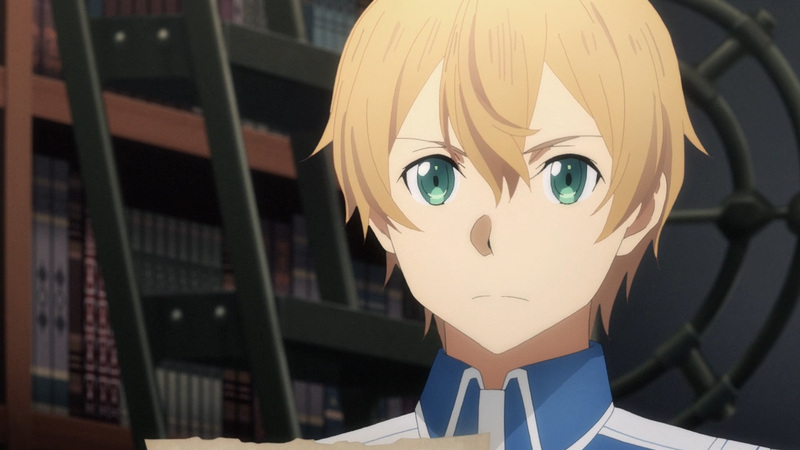 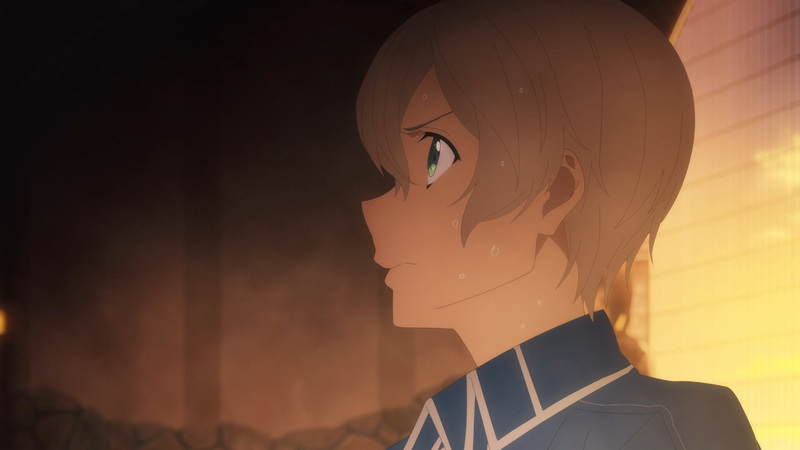 Bercouli has found himself petrified to be later reprocessed, and Eugeo has been dragged away to become a pawn of the Axiom Church. 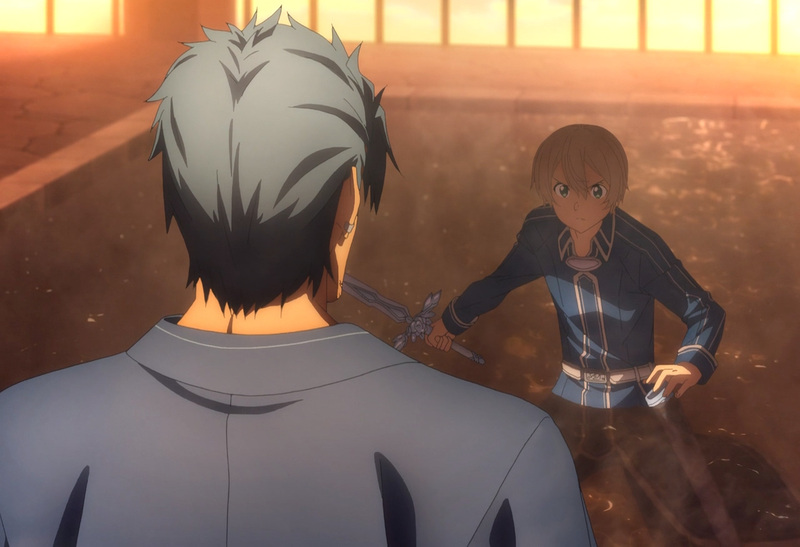 Today’s fight wasn’t a long one, although it was one of skill. 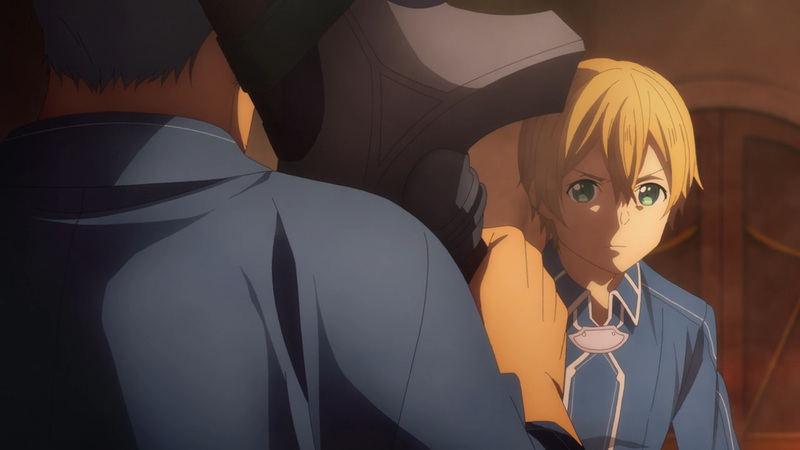 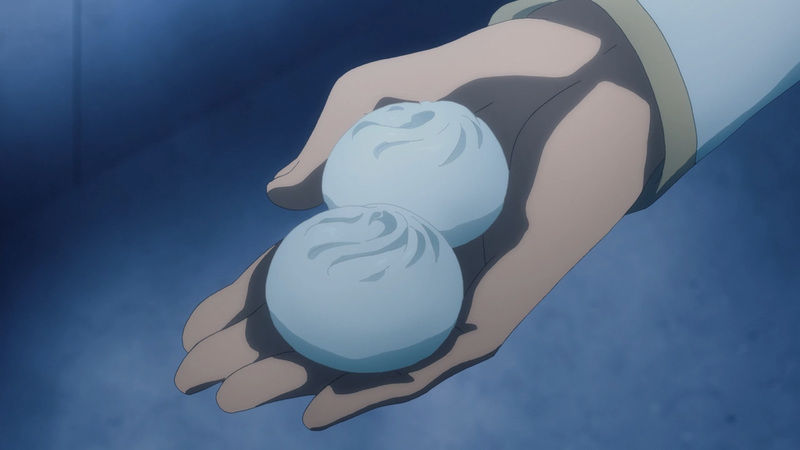 These pass 2 year’s Eugeo has always had a partner there beside him. 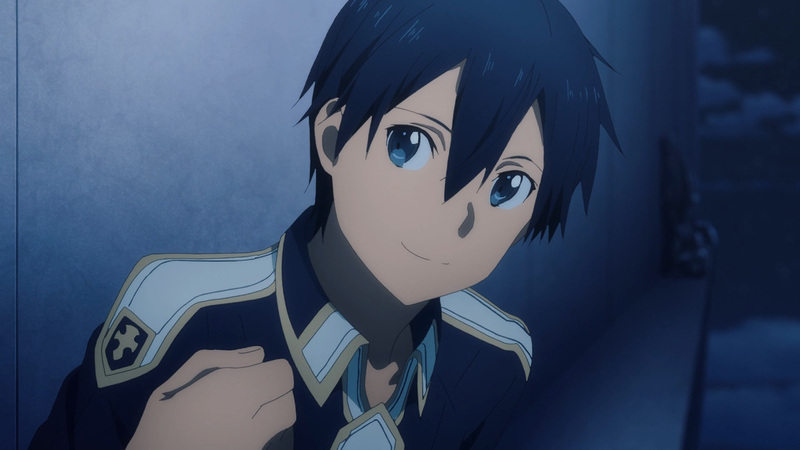 There was never a fight he wasn’t with Kirito, well until now. 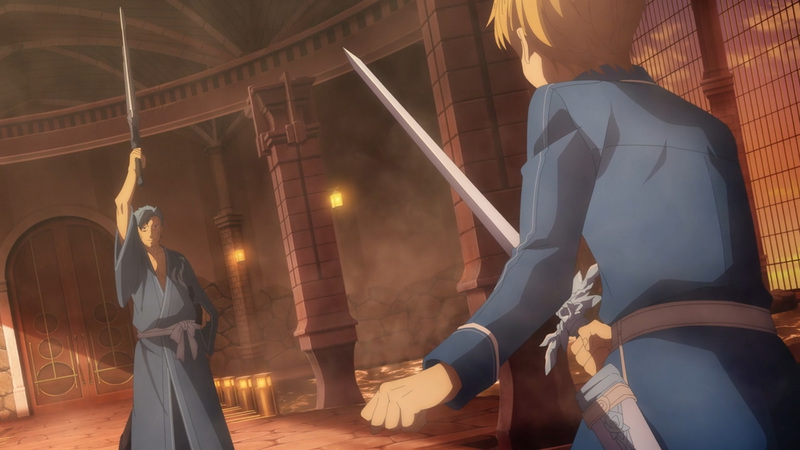 Eugeo was able to hold his own against the best of the Integrity Knights. 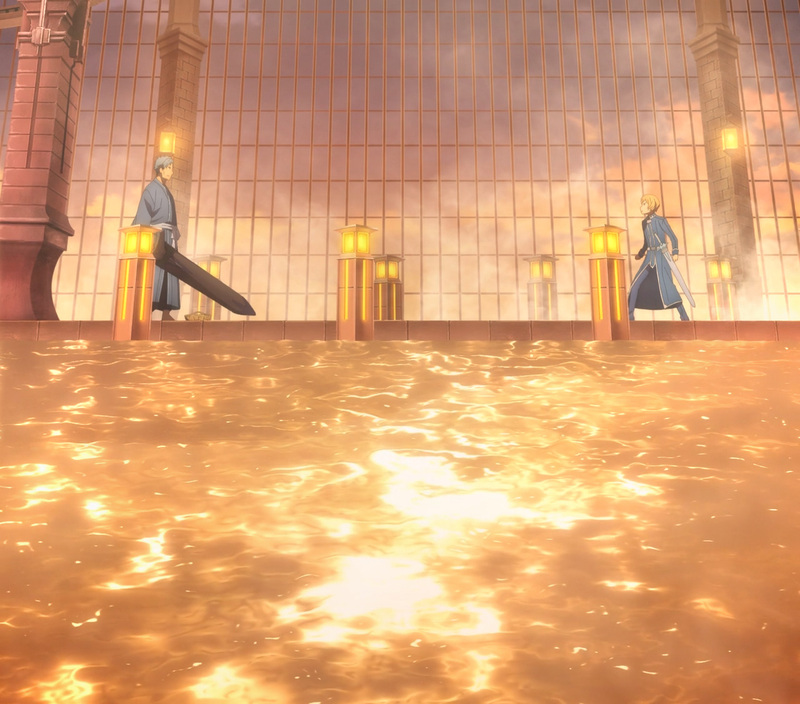 Now, it should be noted that Bercouli did hold back here. 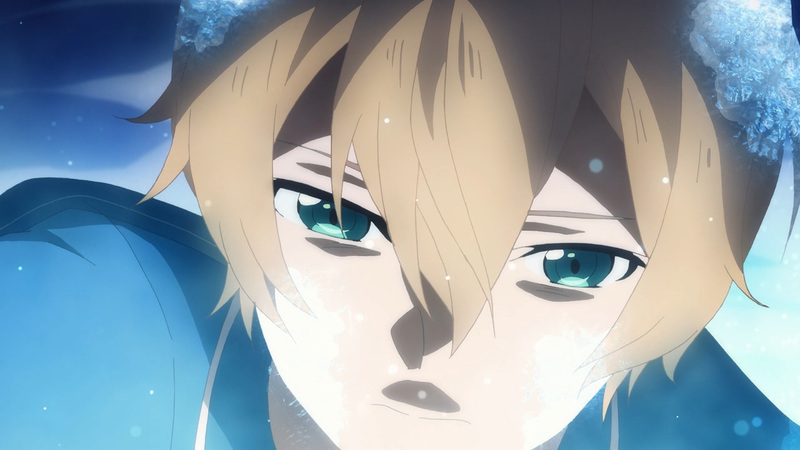 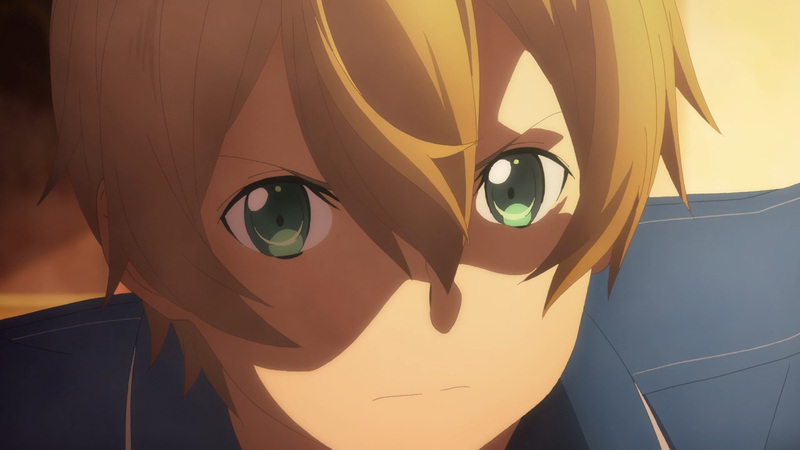 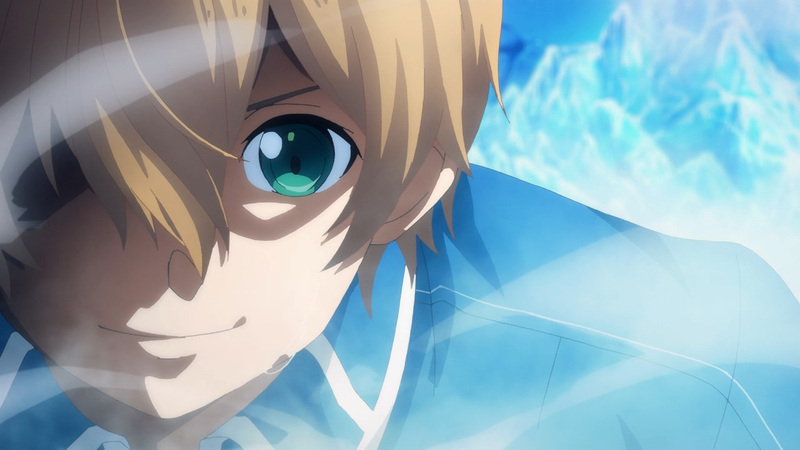 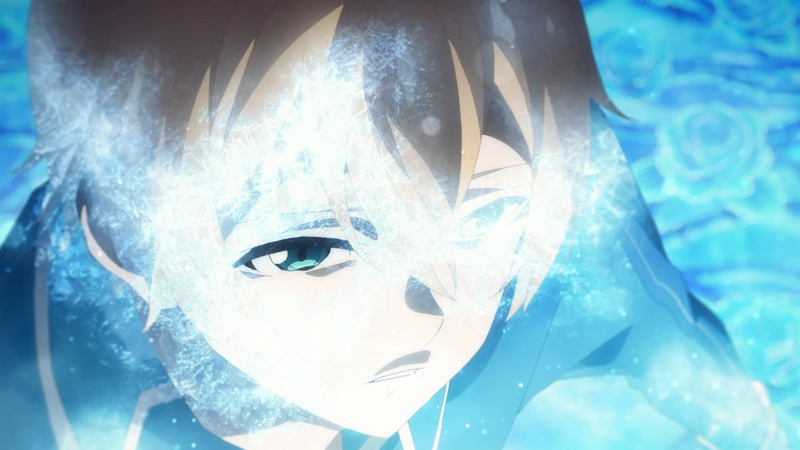 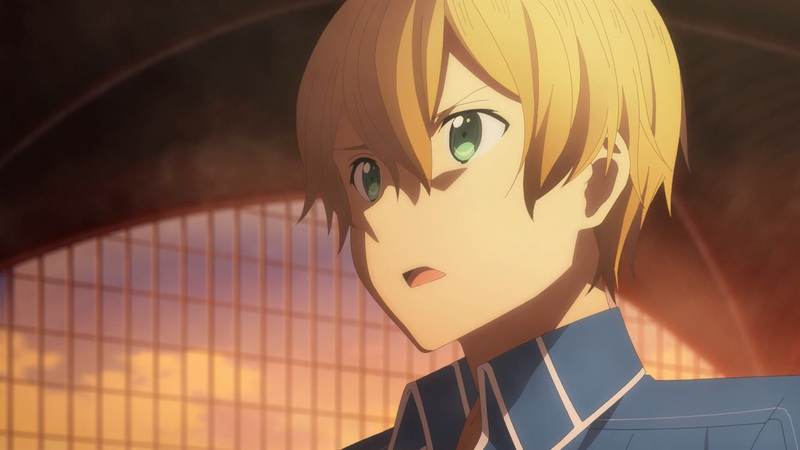 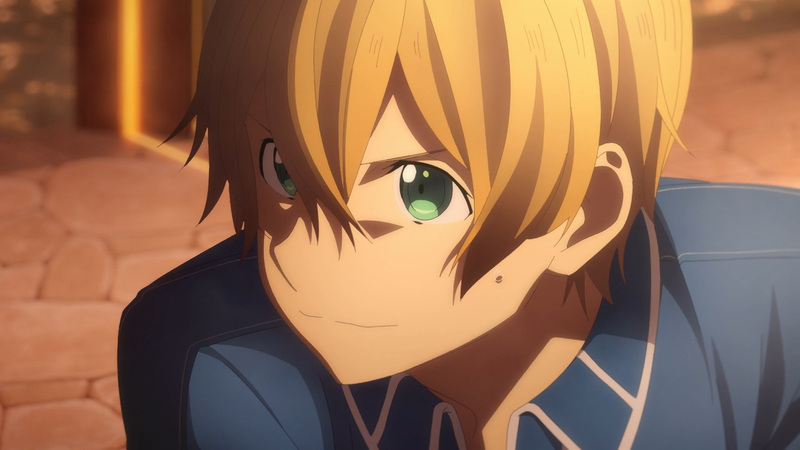 He had no intention of killing Eugeo due to his honorable combat against his apprentice, Fanatio. 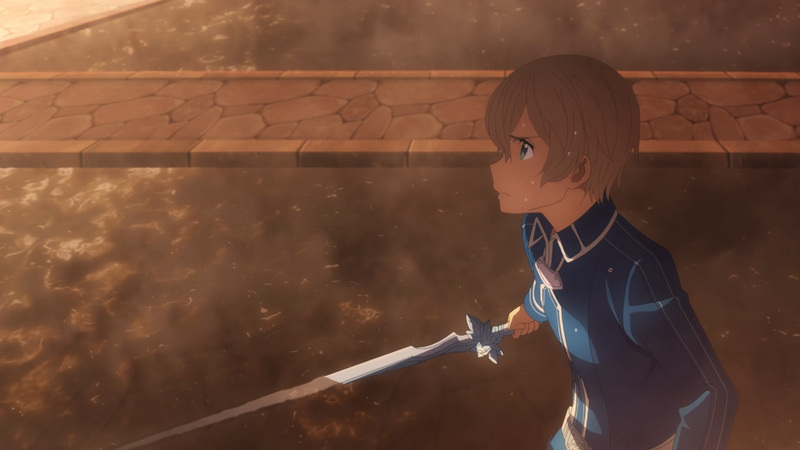 Regardless, Eugeo should be proud of his achievements during this battle. 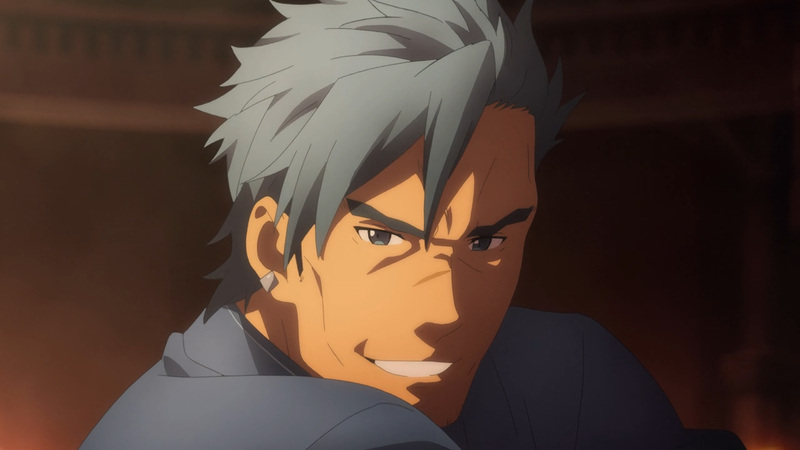 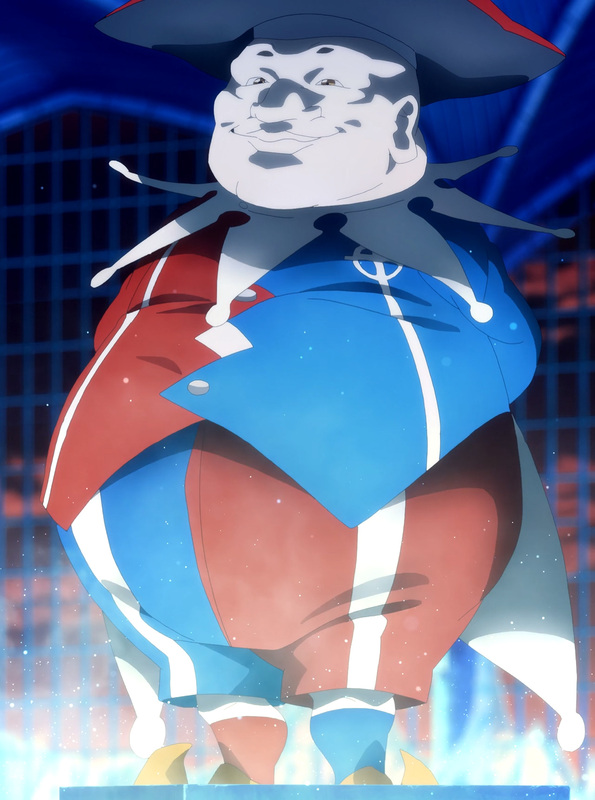 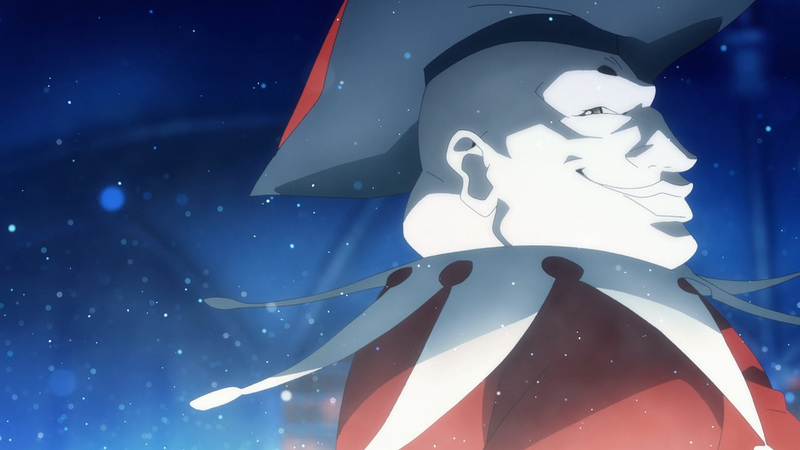 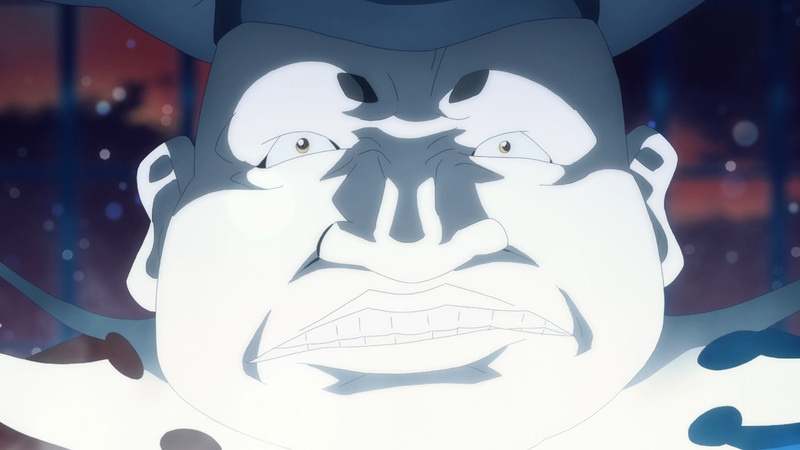 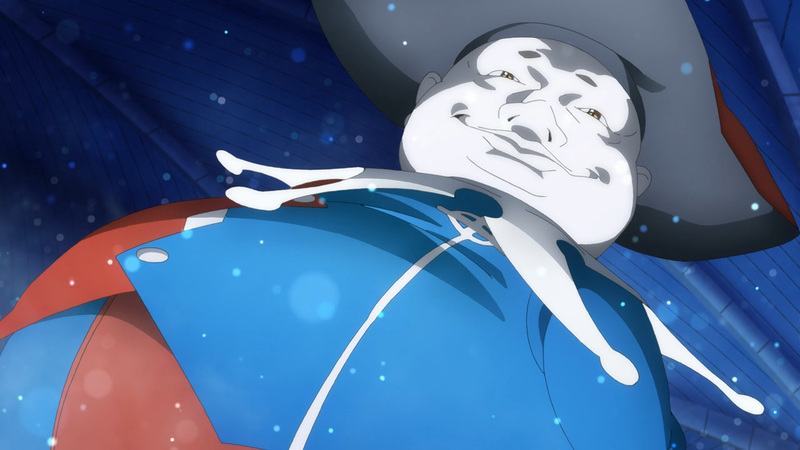 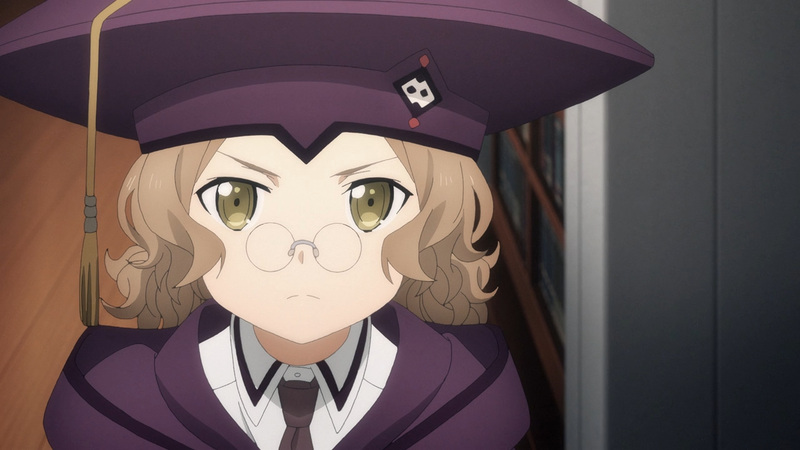 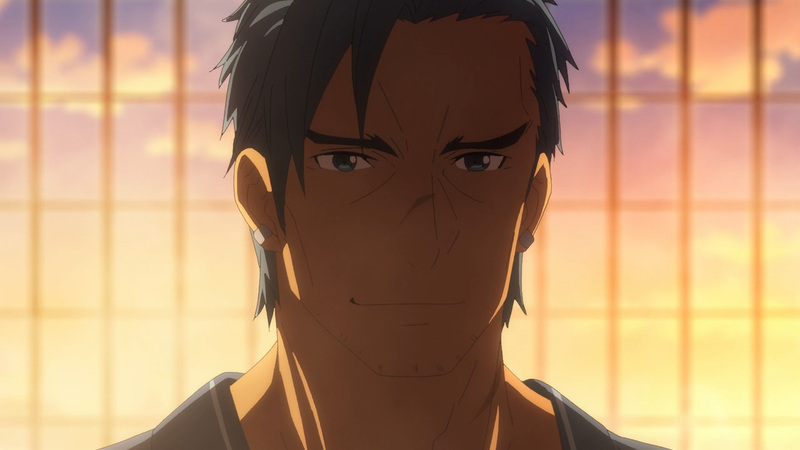 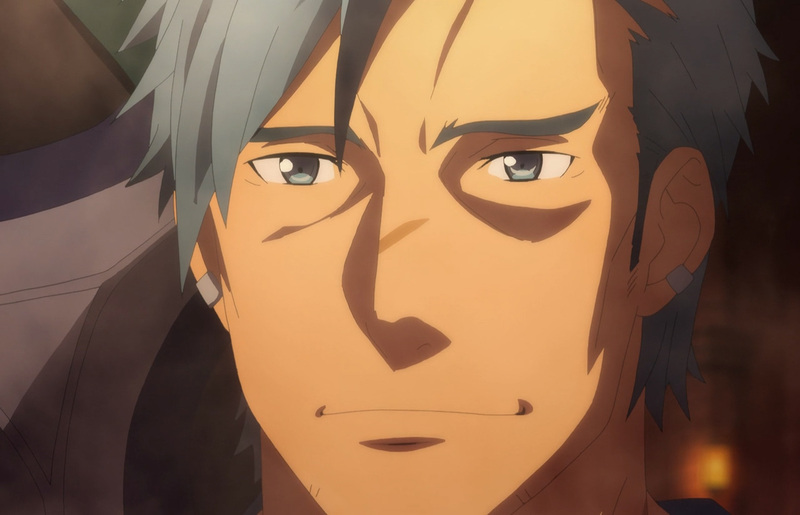 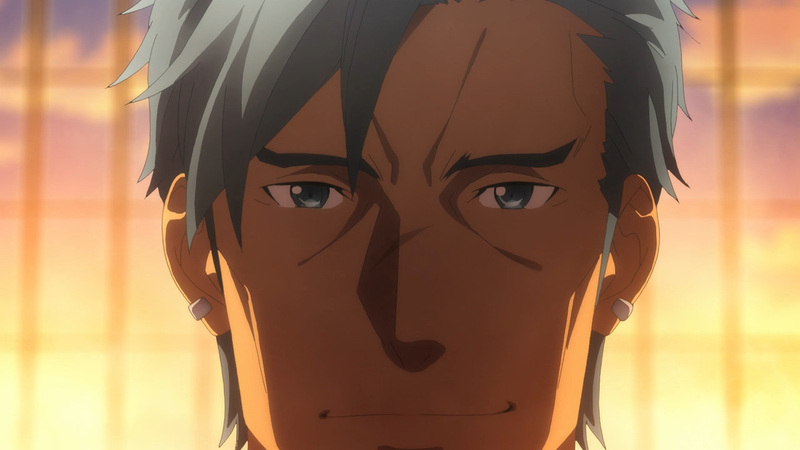 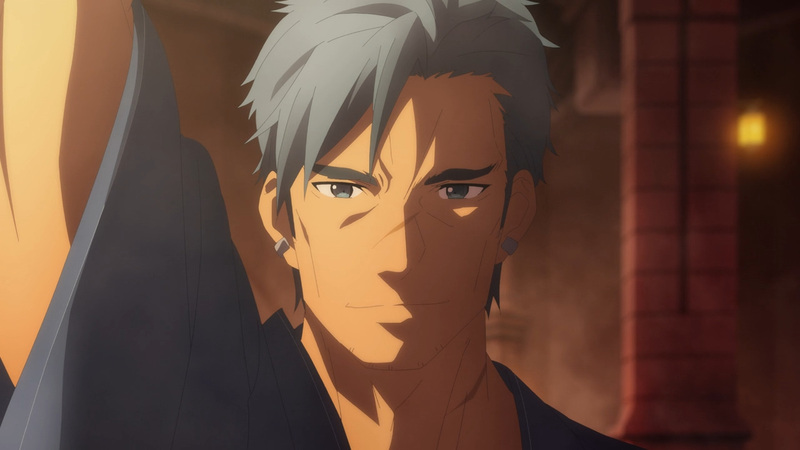 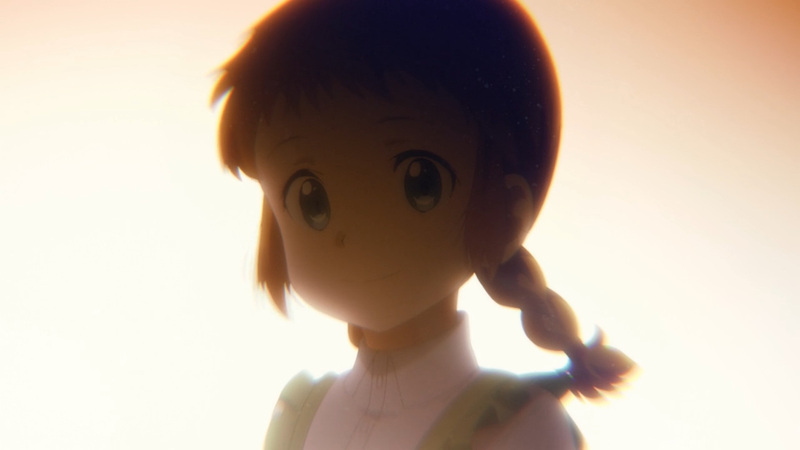 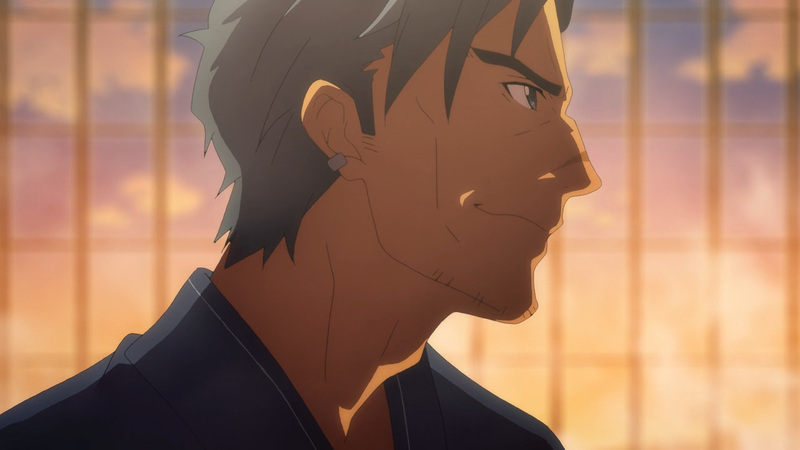 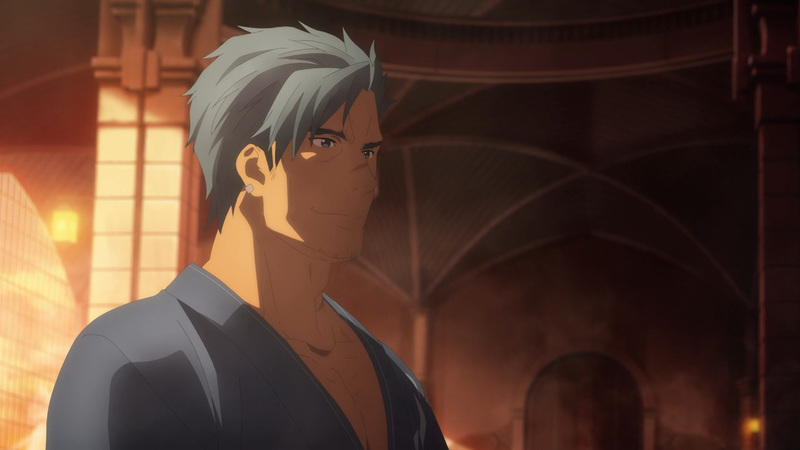 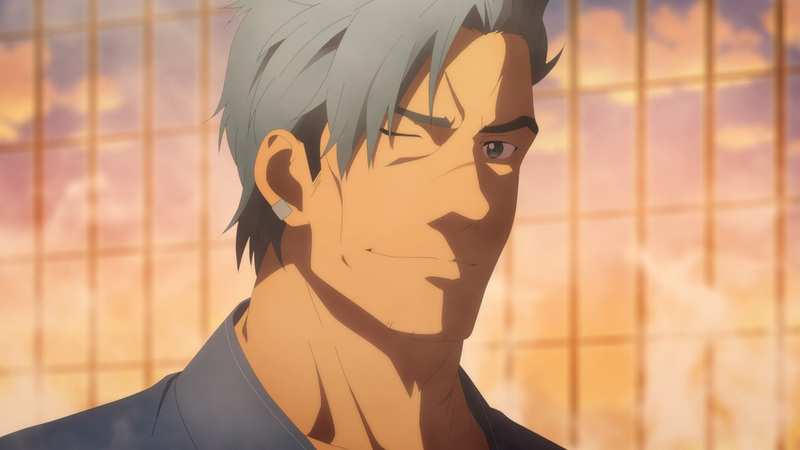 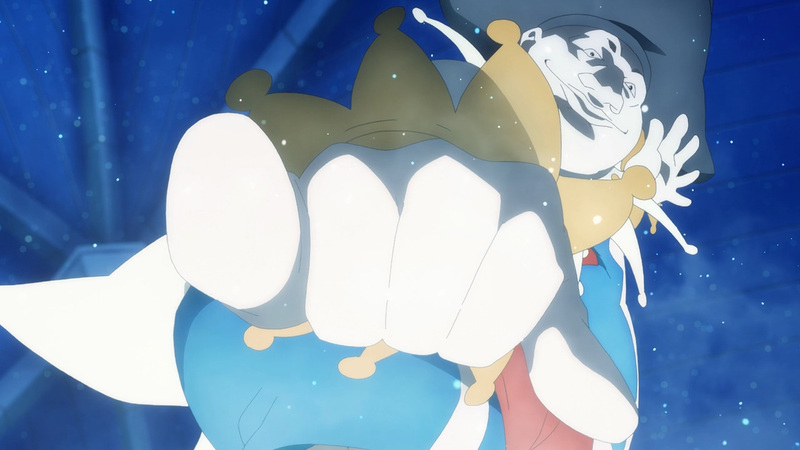 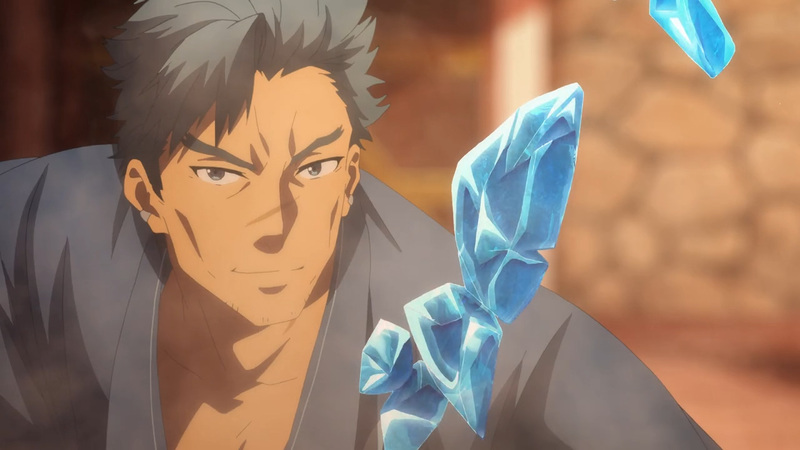 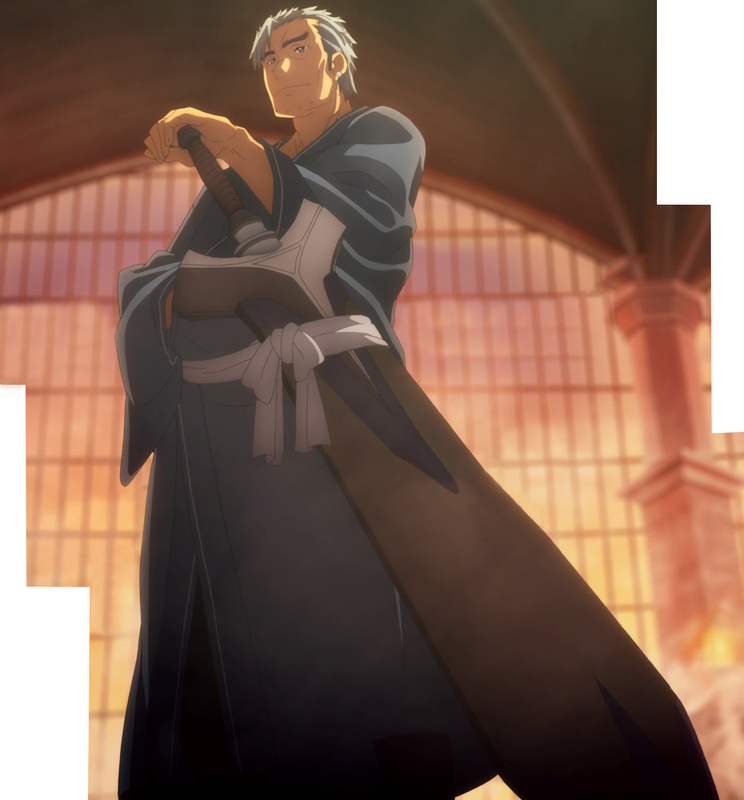 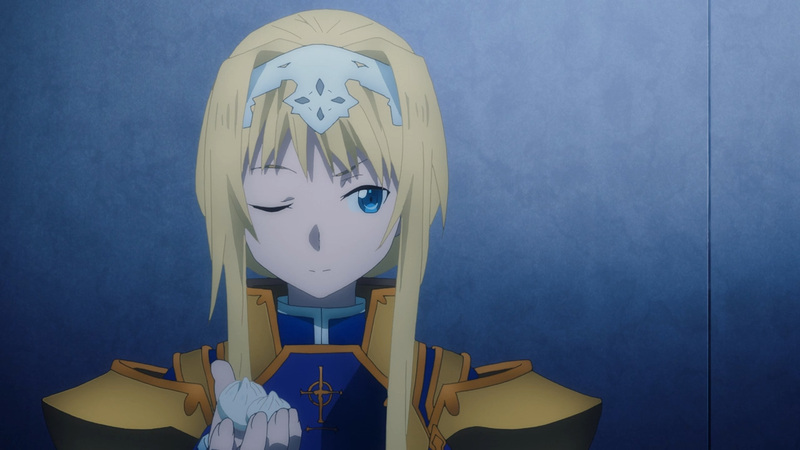 It’s not often we get to see a character besides Kirito pop off. 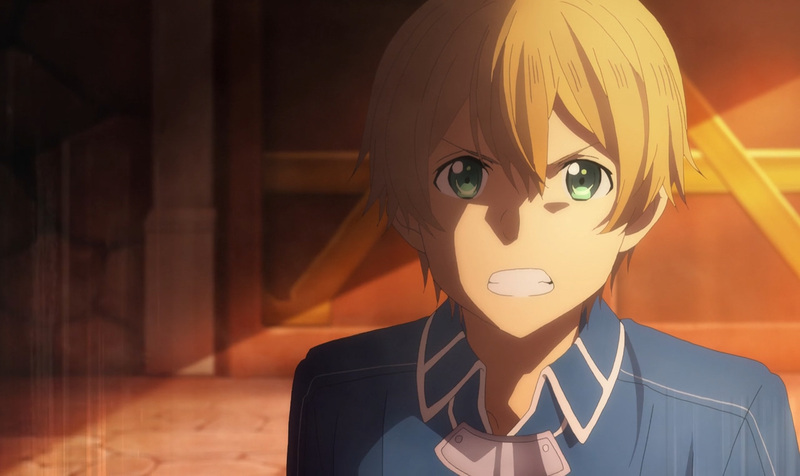 Moreover, the next time we see Eugeo, he might not be quite himself. 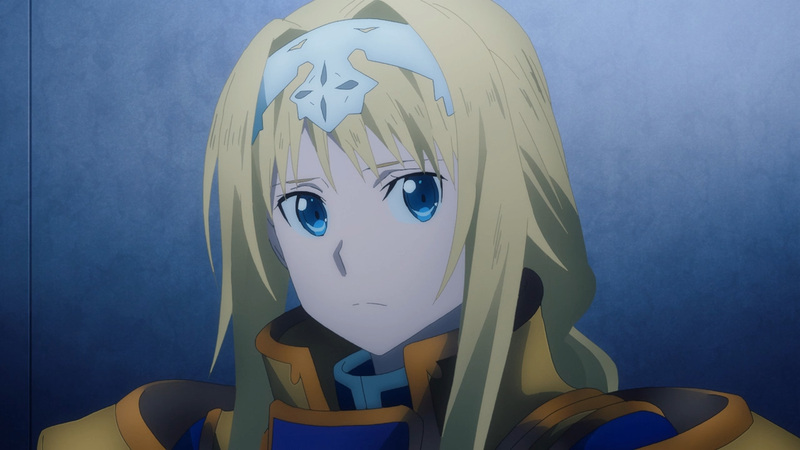 How do you feel about the number 32? 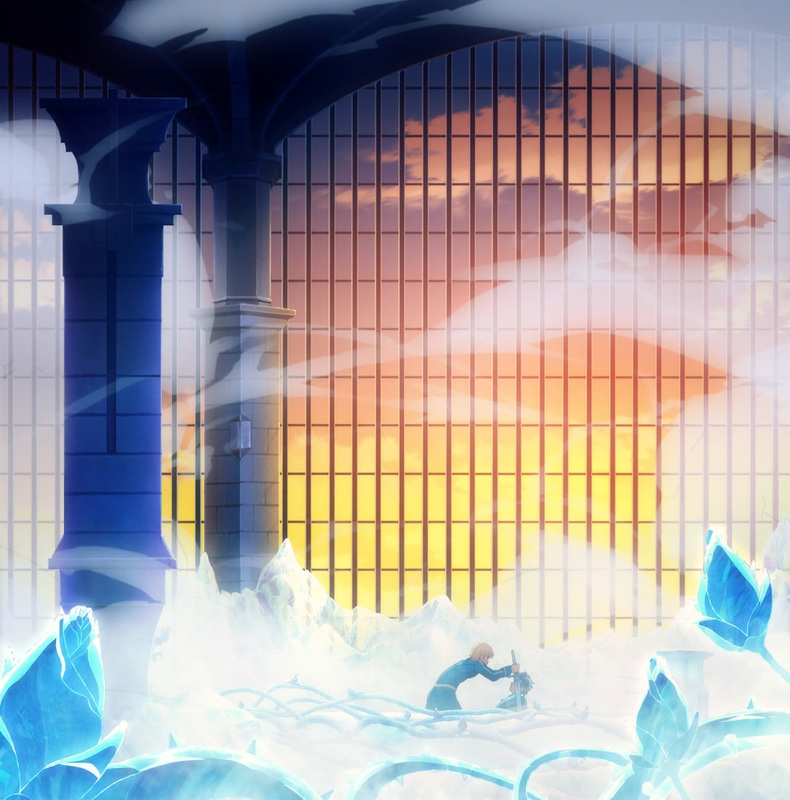 Anyhow, it’s getting chilly in here. 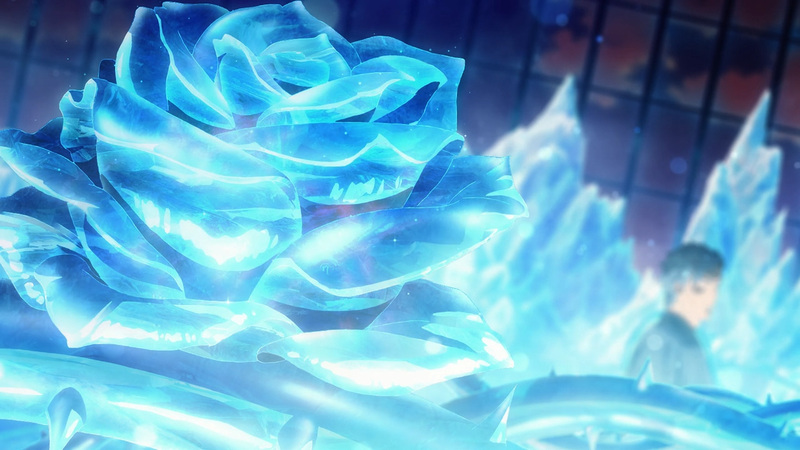 Enjoy the blue rose! 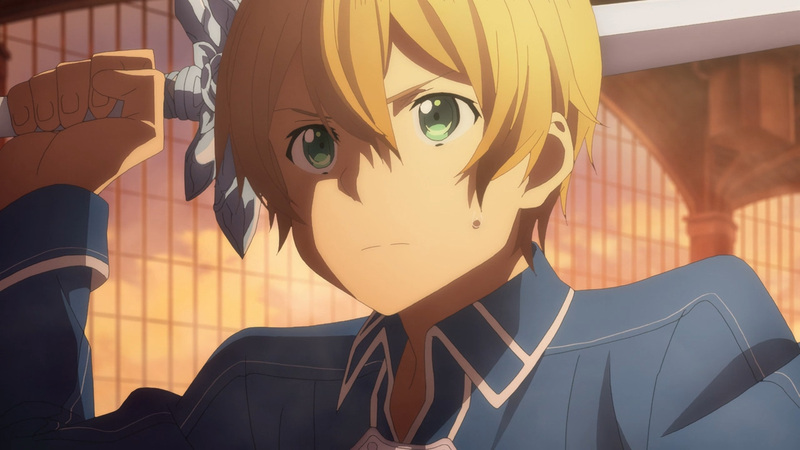 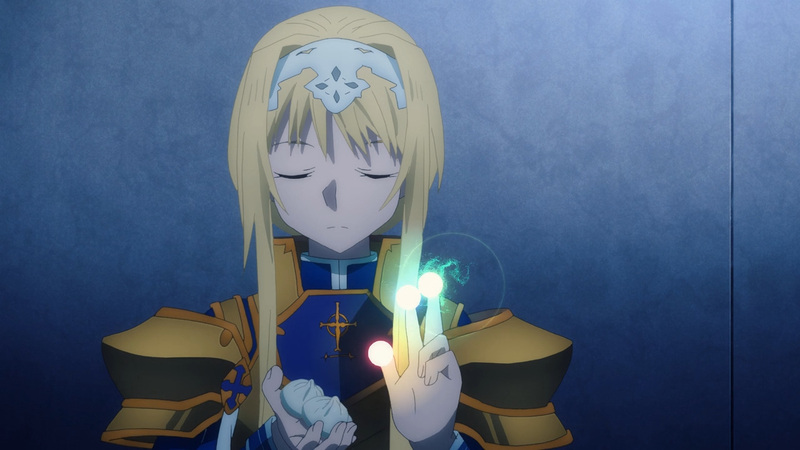 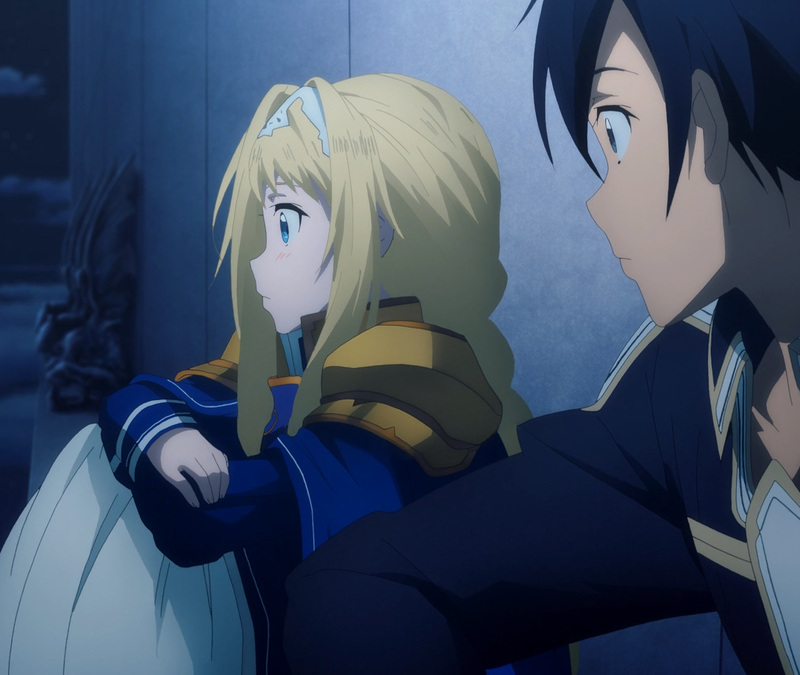 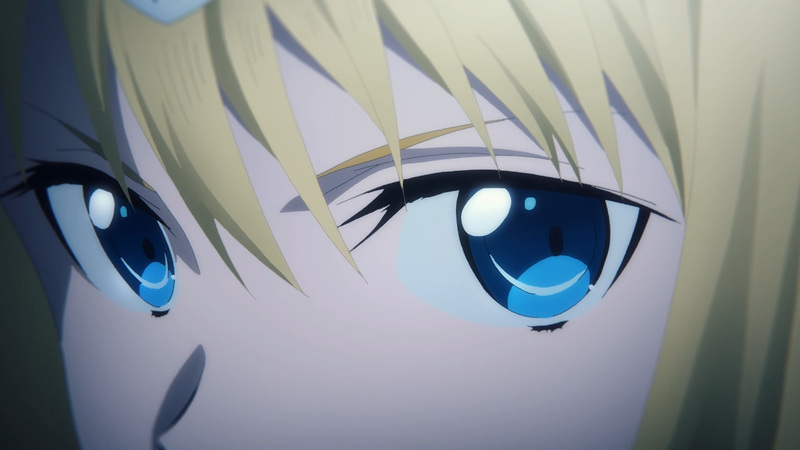 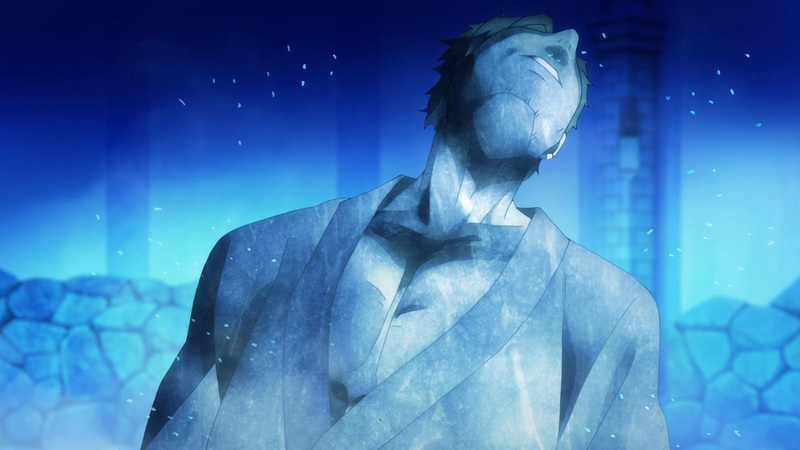 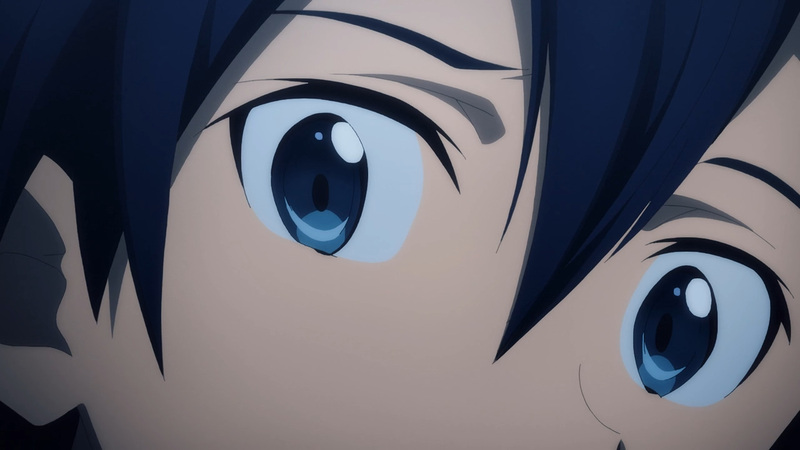 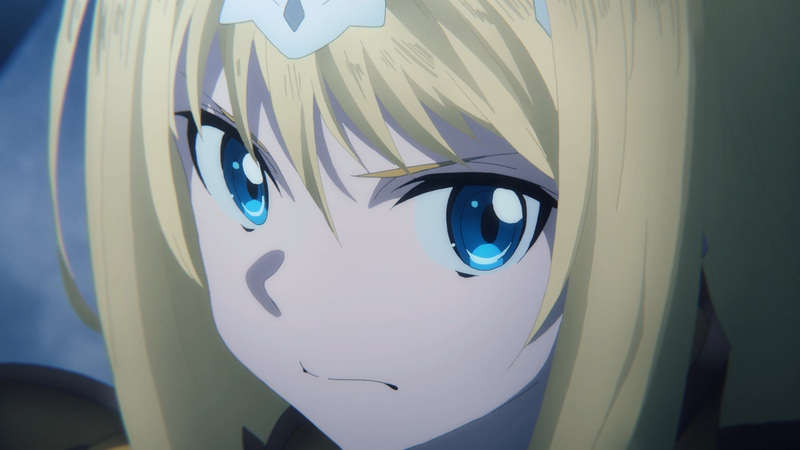 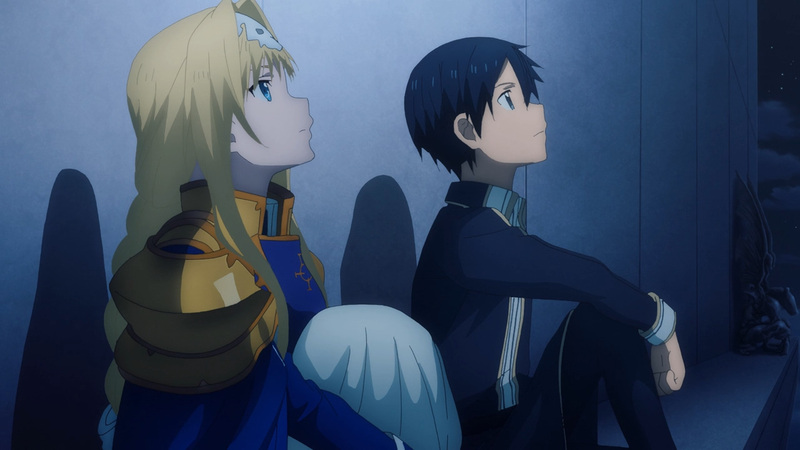 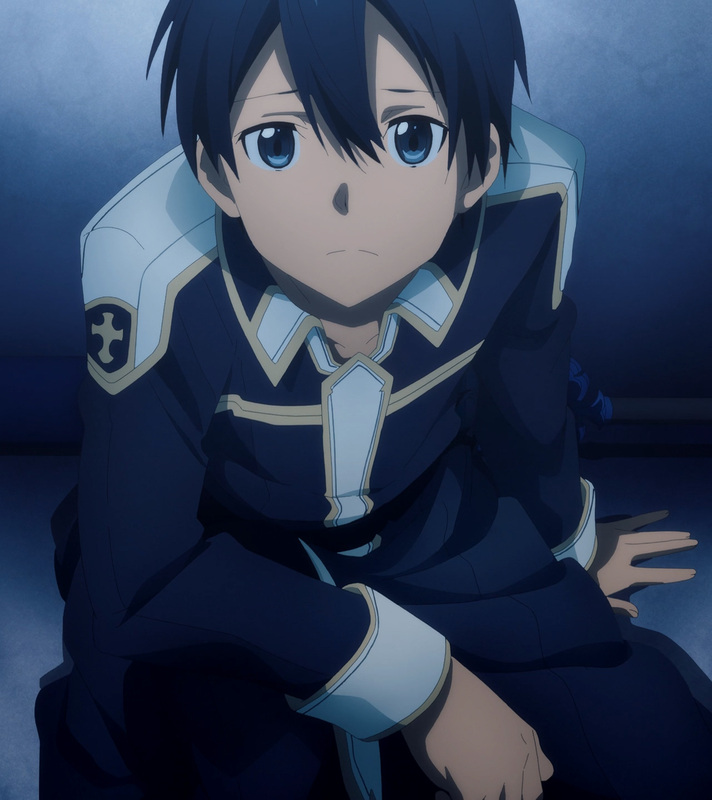 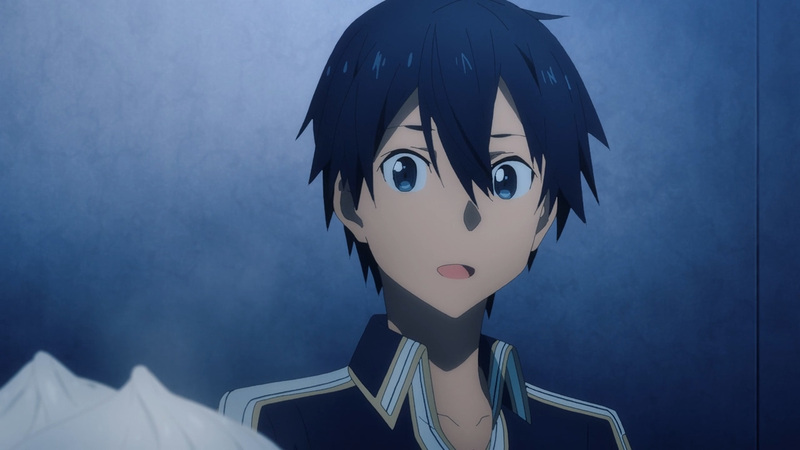 Project Alicization will be experiencing a recap next week, but our work here shall continue. 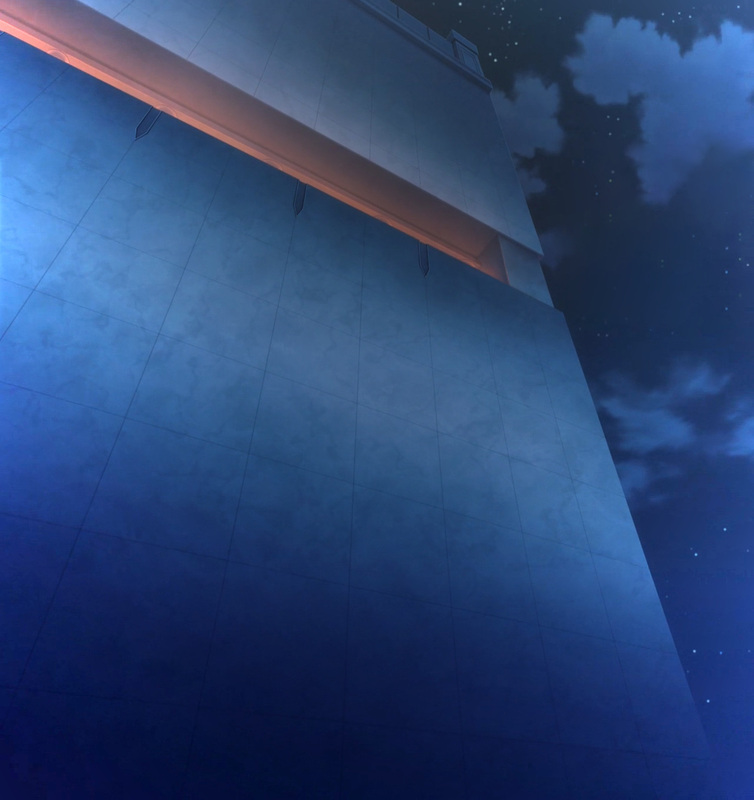 So, be sure to join us each Saturday for something new!